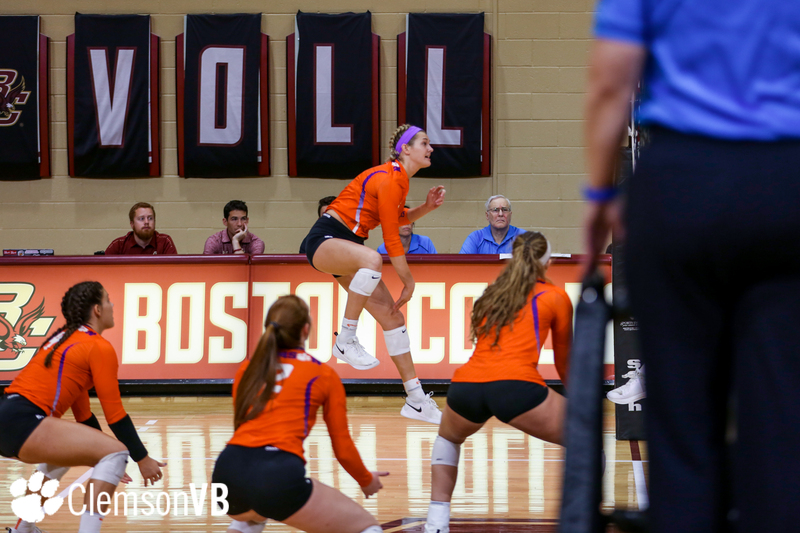 CHESTNUT HILL, Mass. 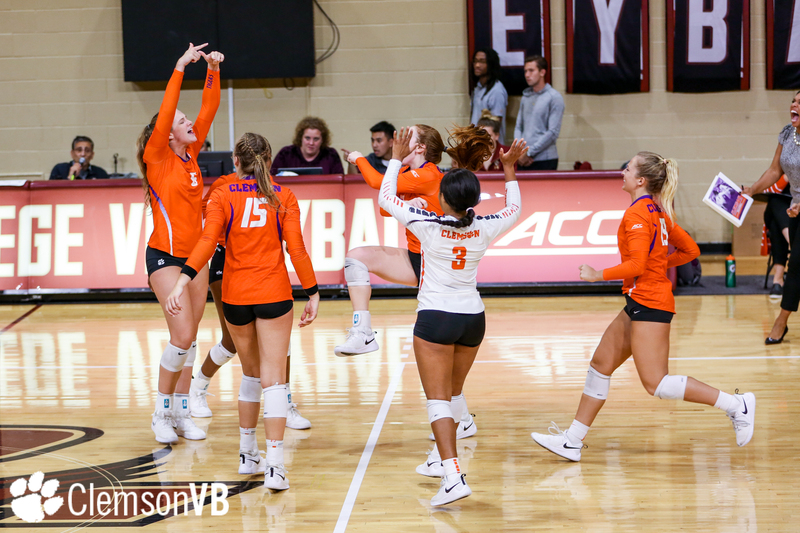 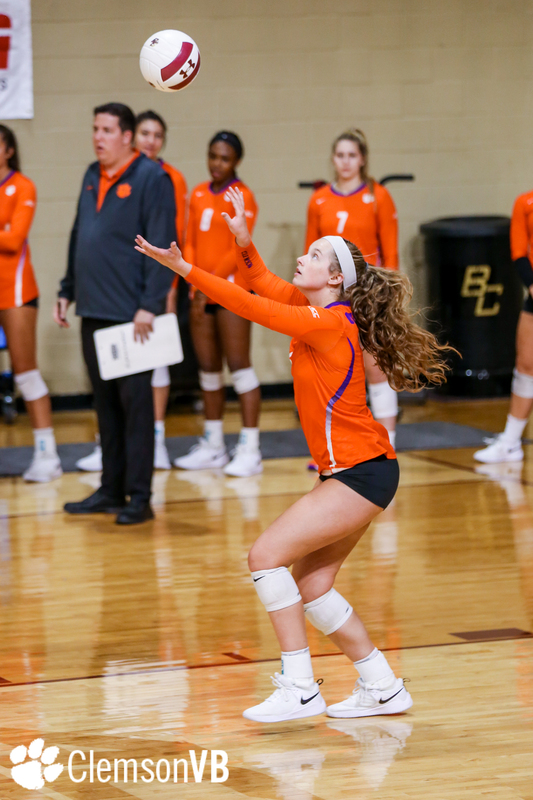 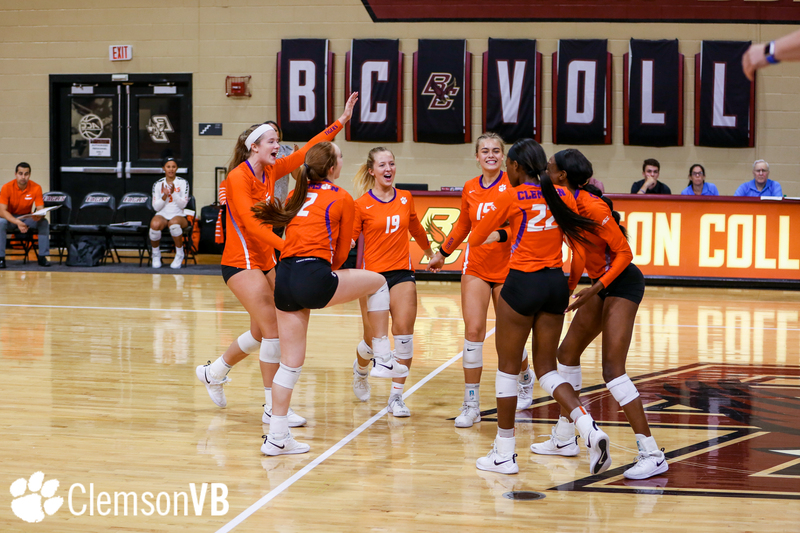 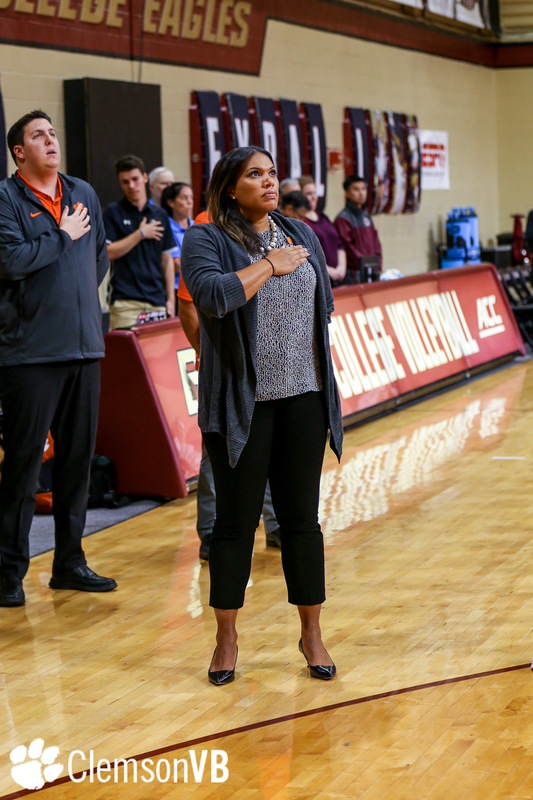 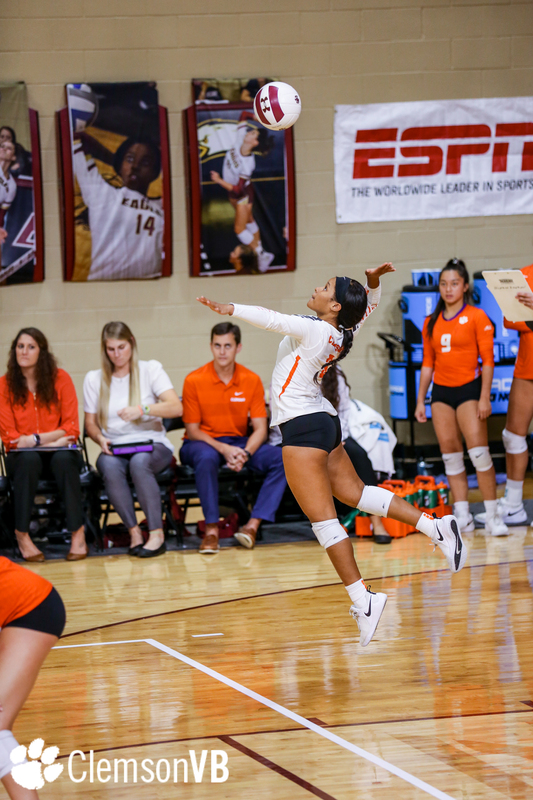 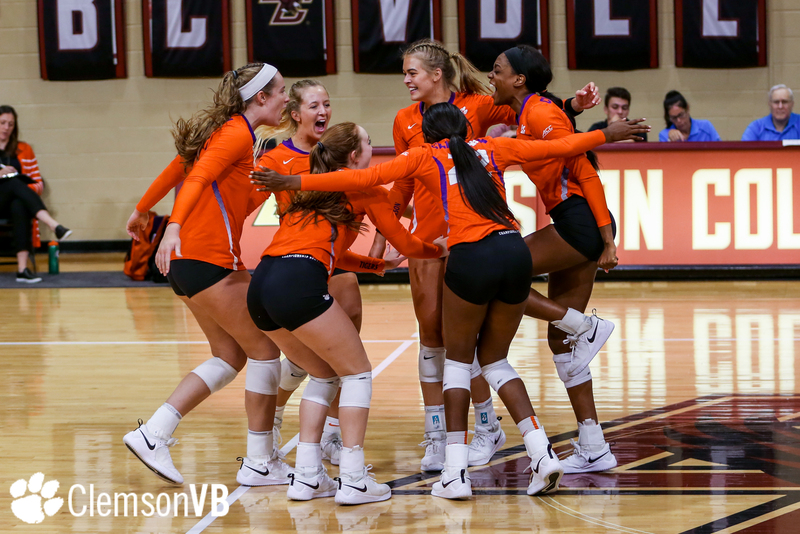 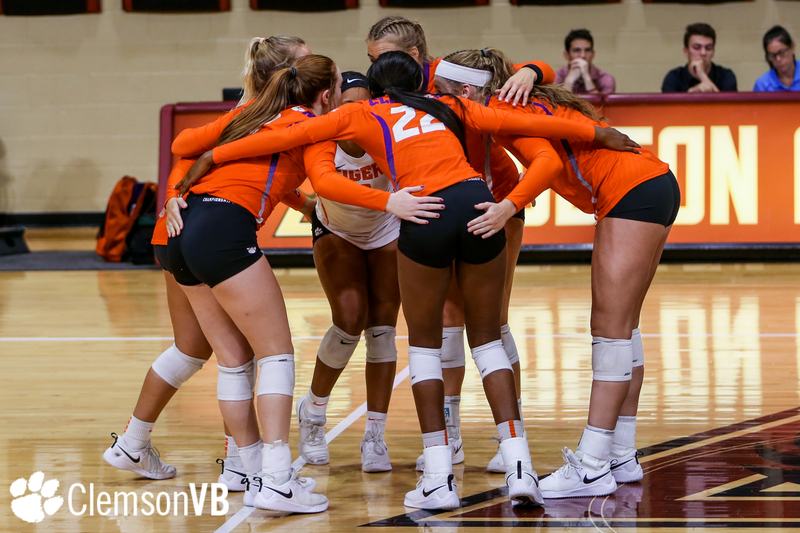 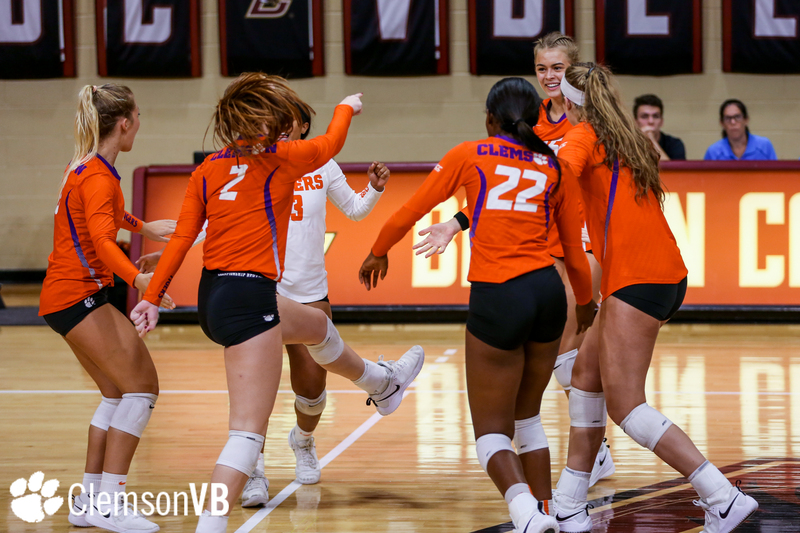 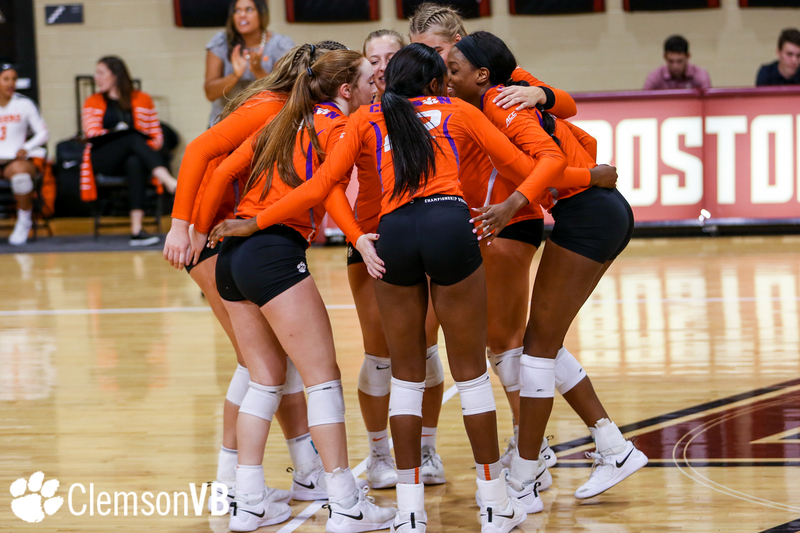 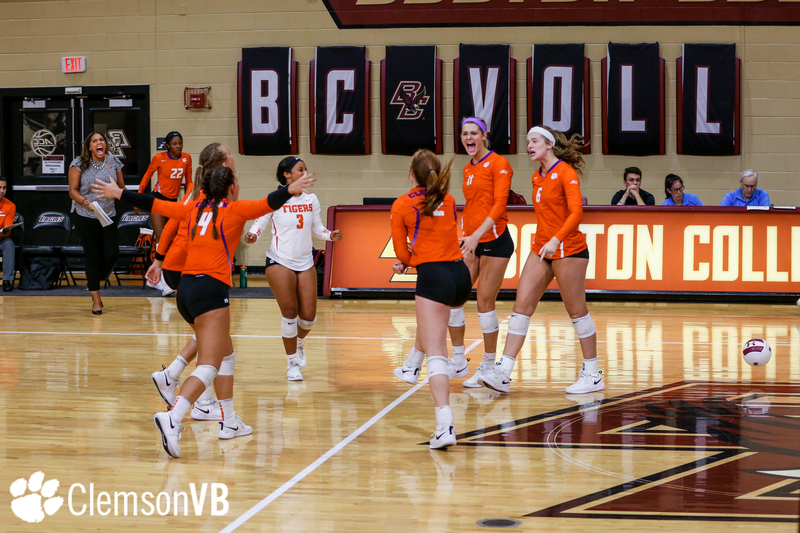 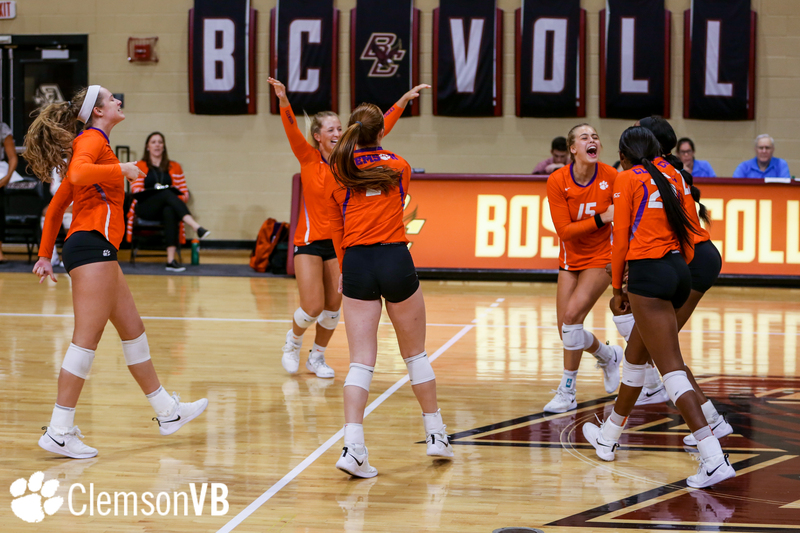 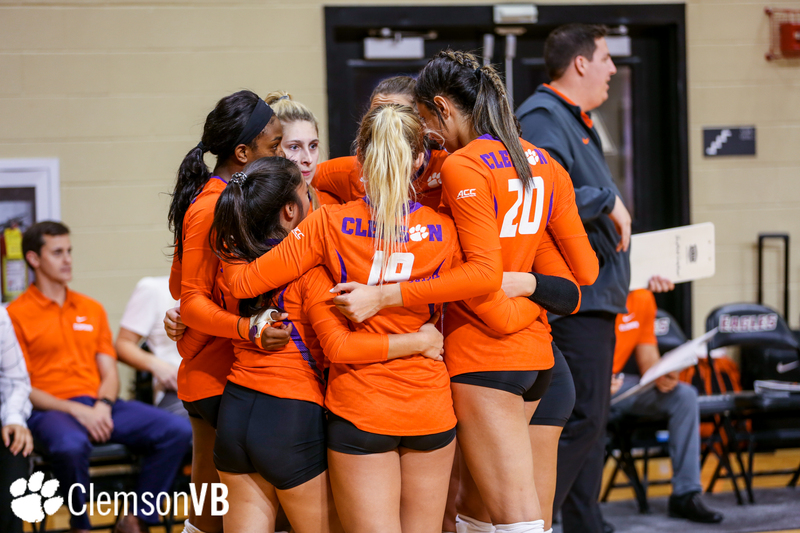 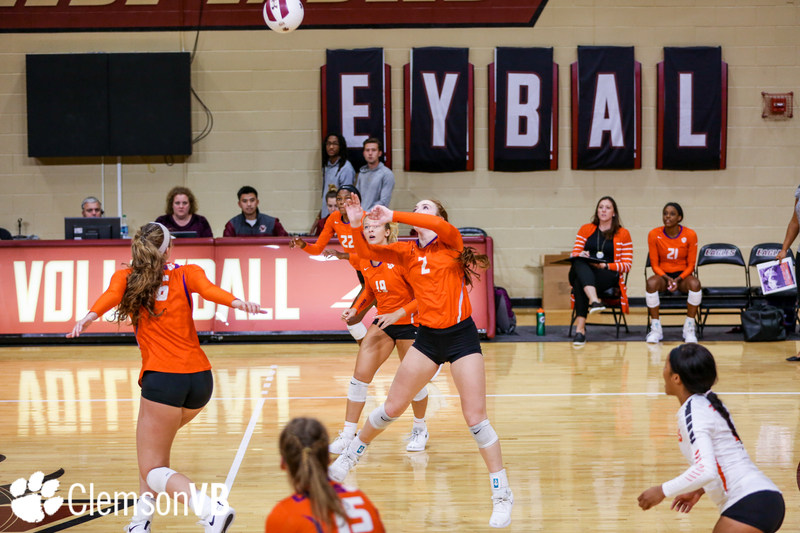 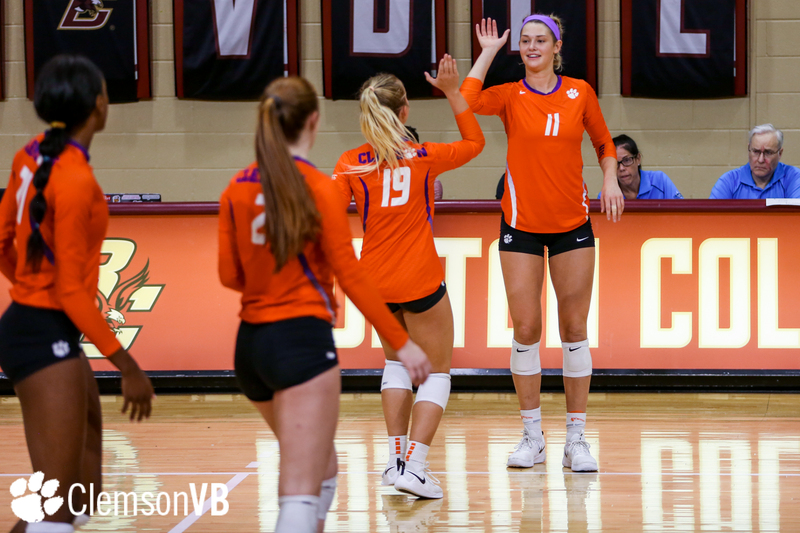 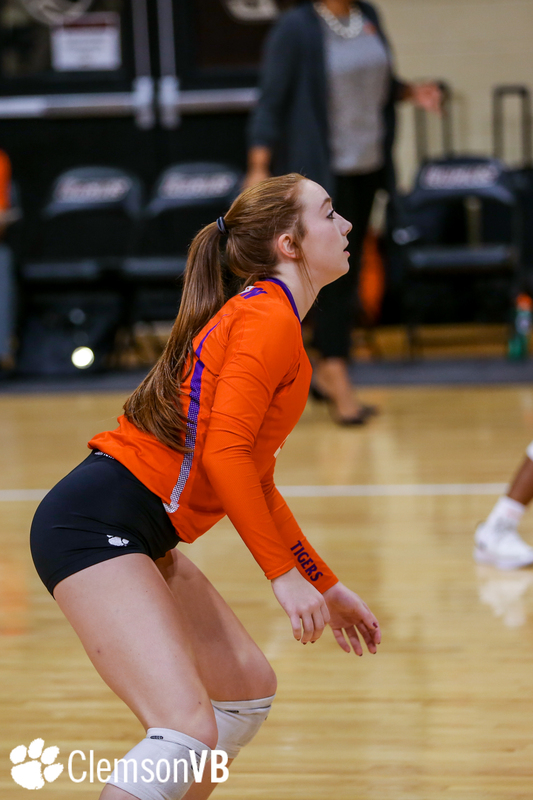 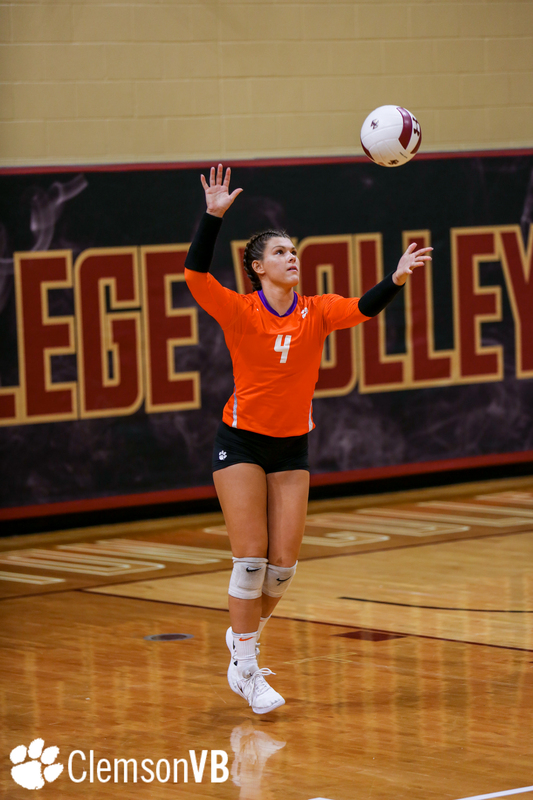 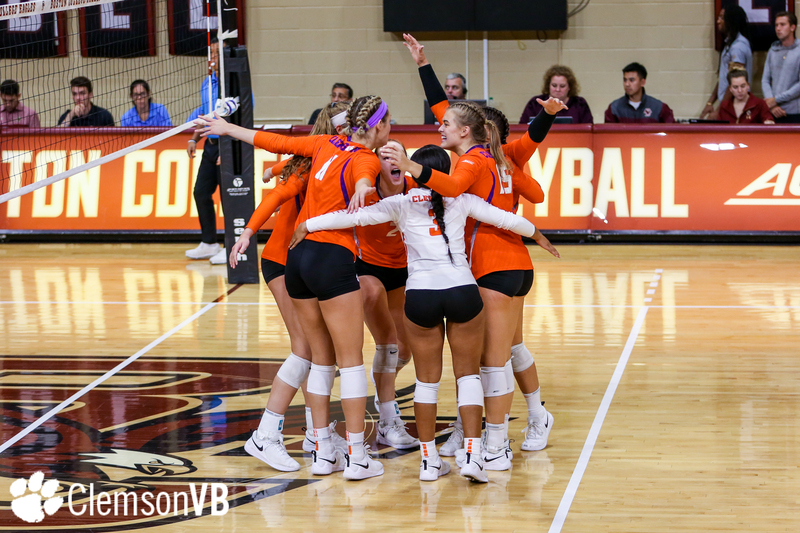 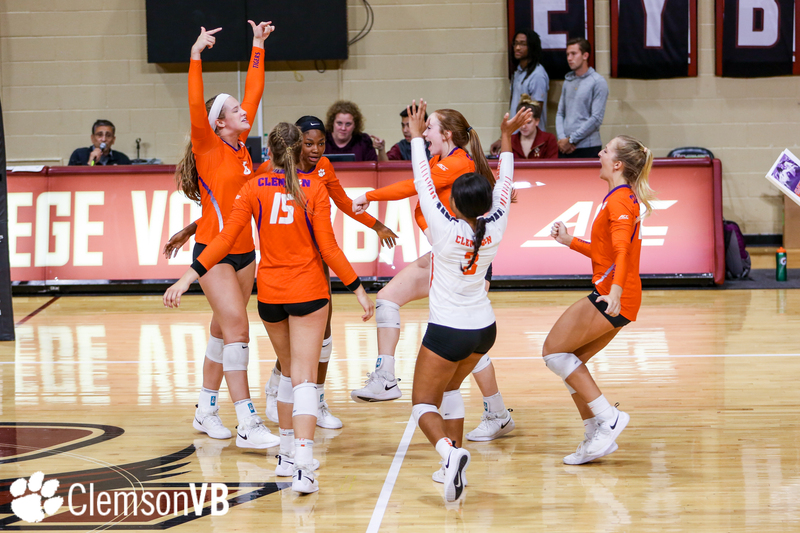 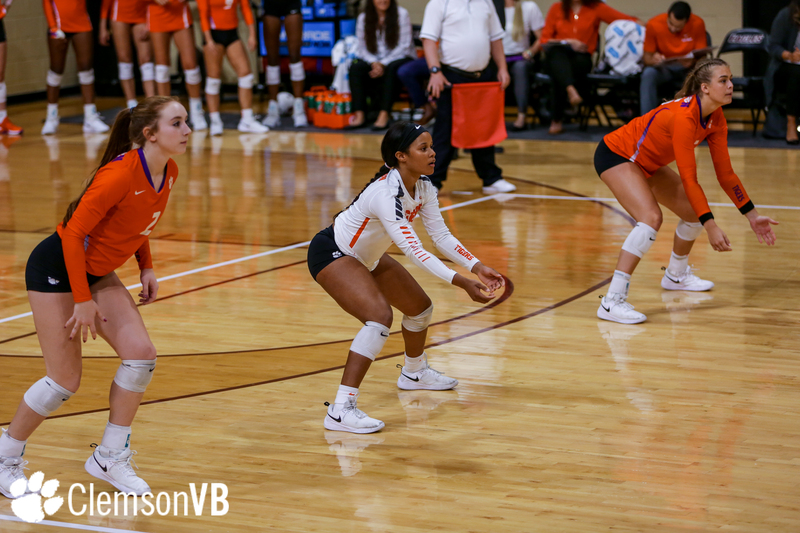 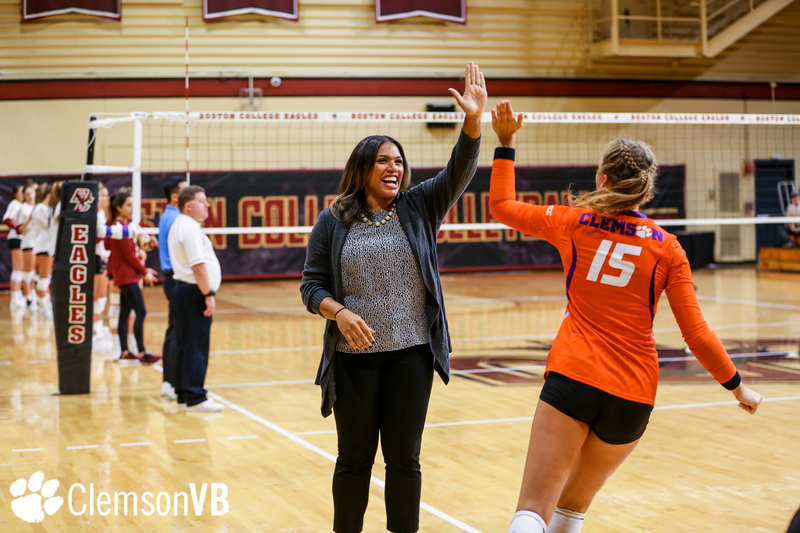 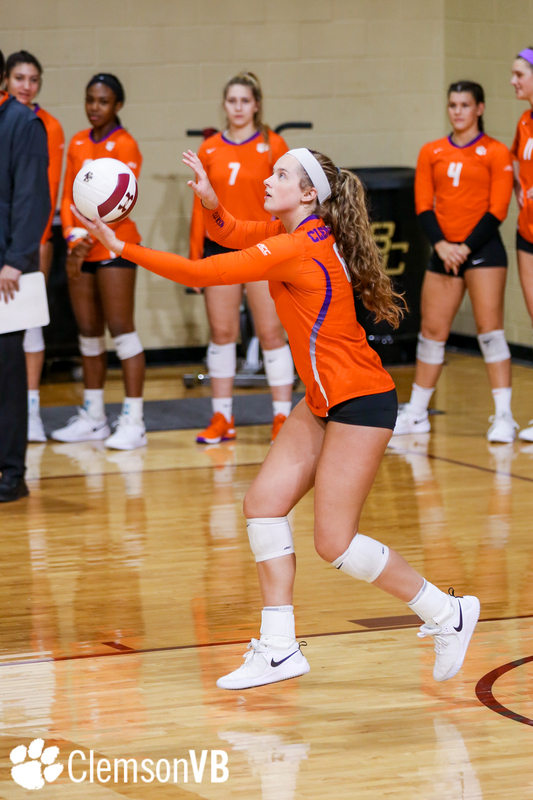 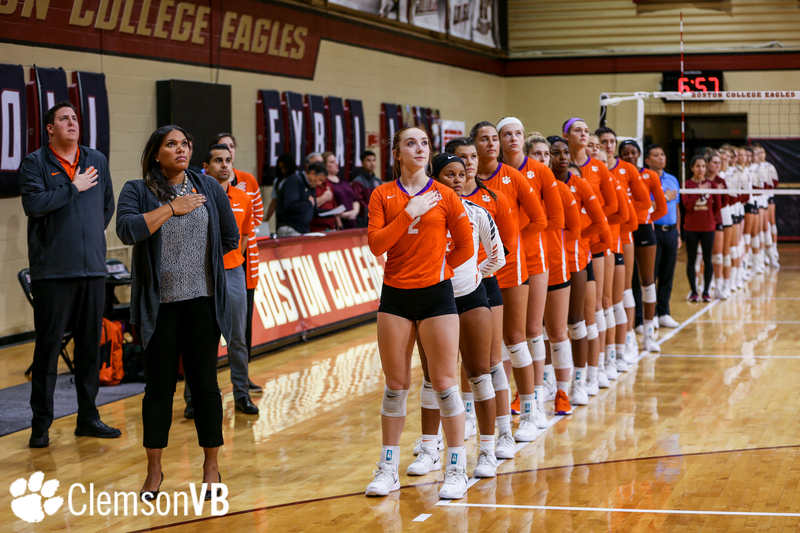 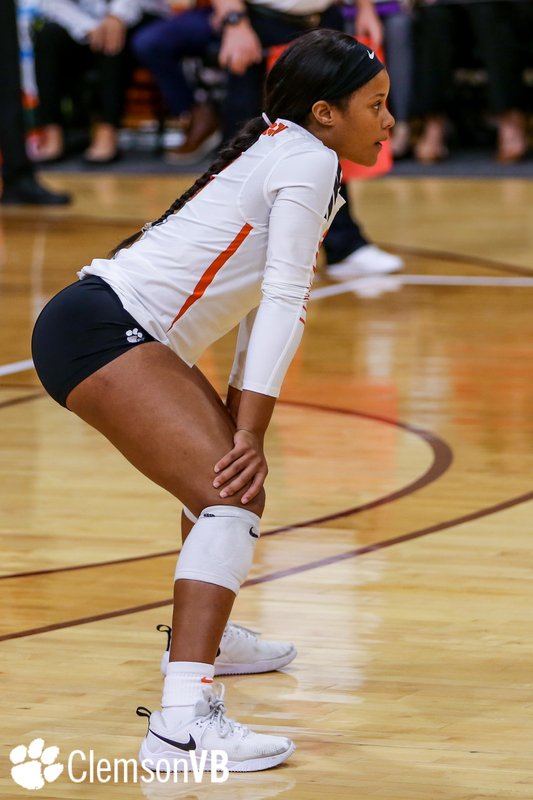 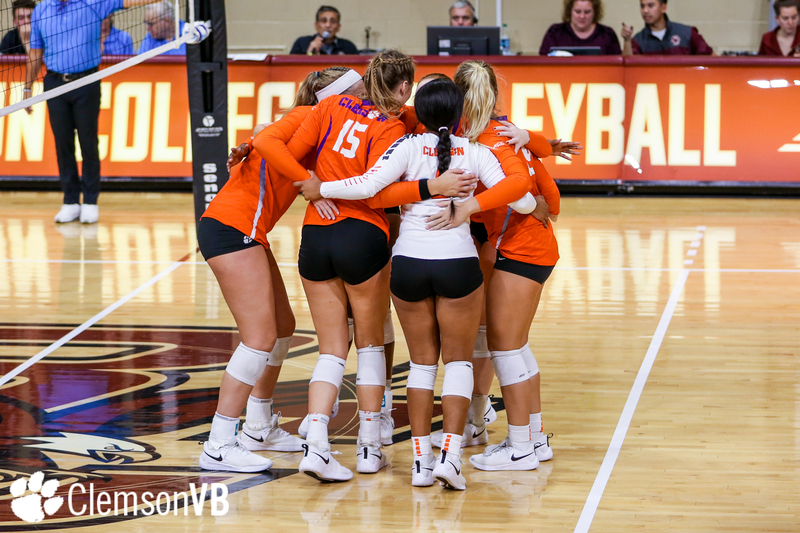 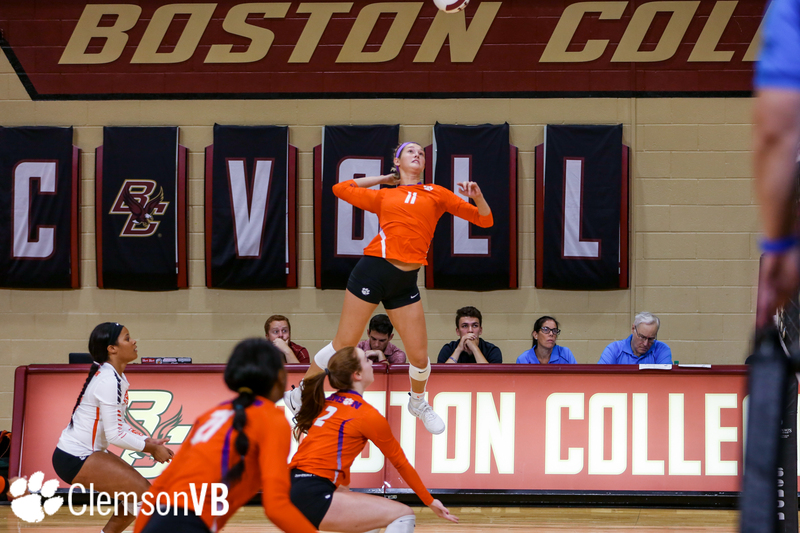 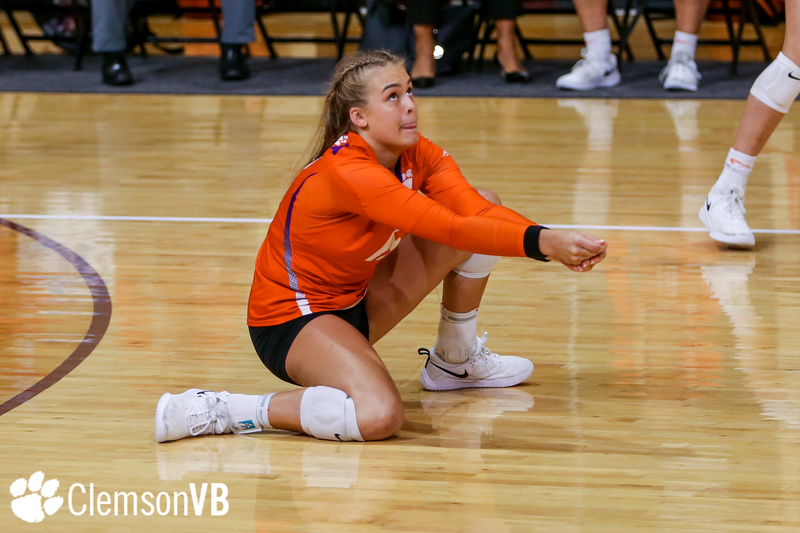 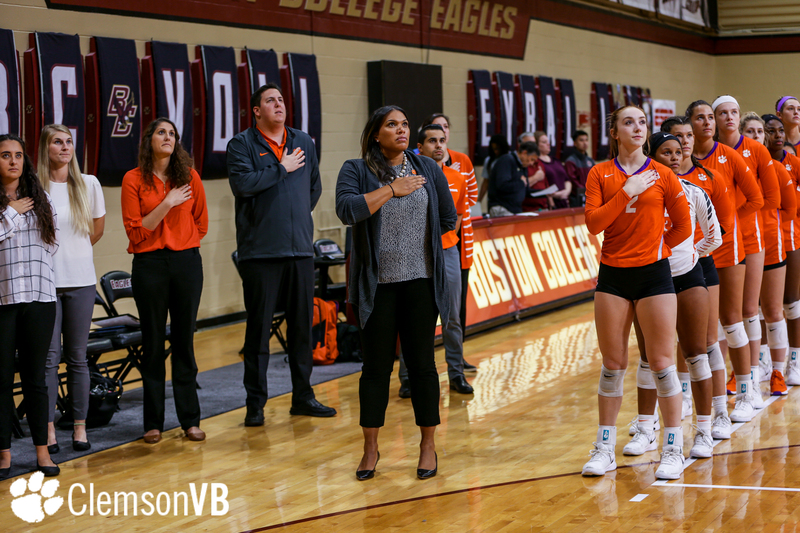 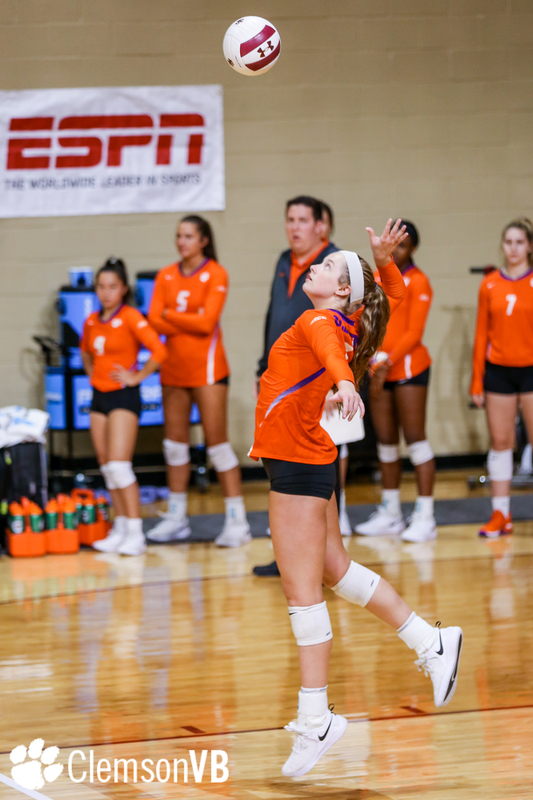 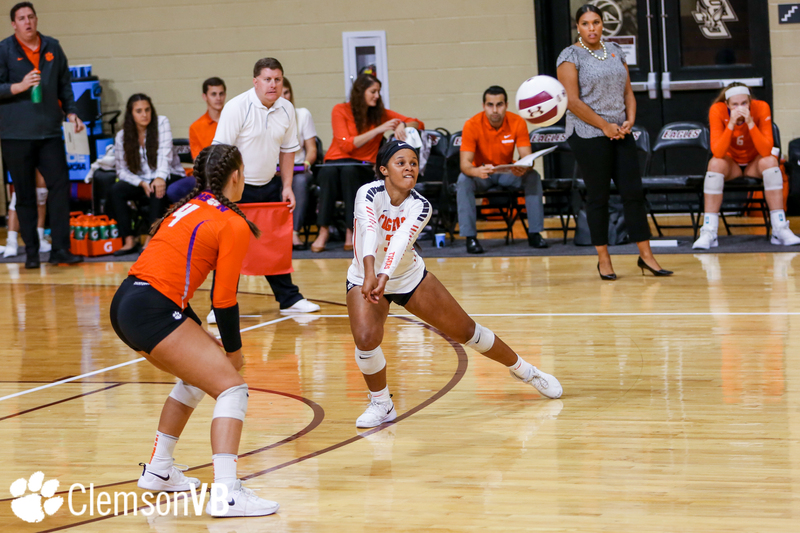 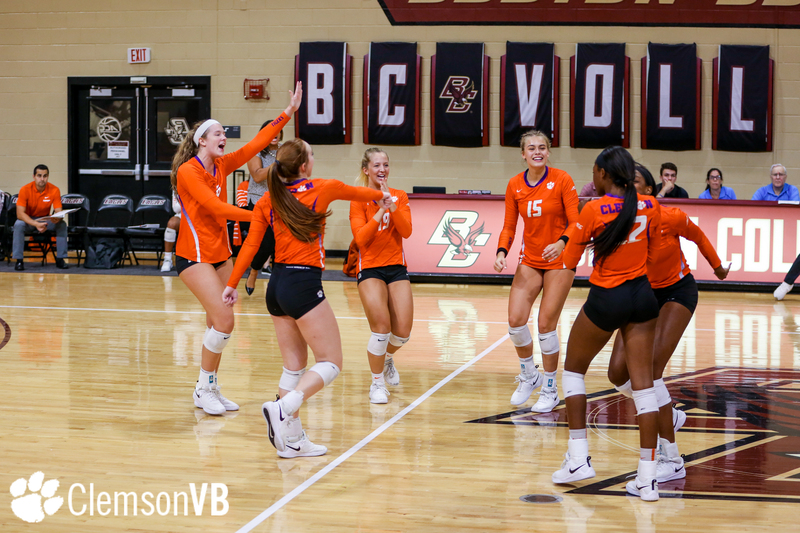 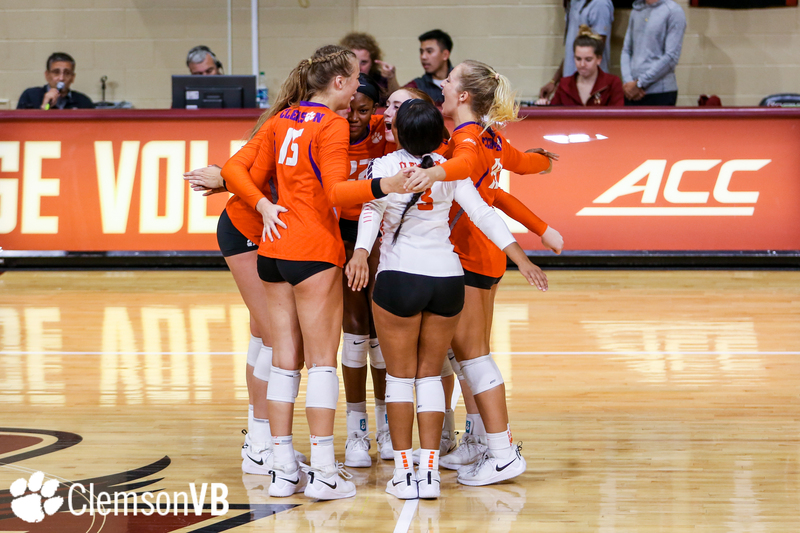 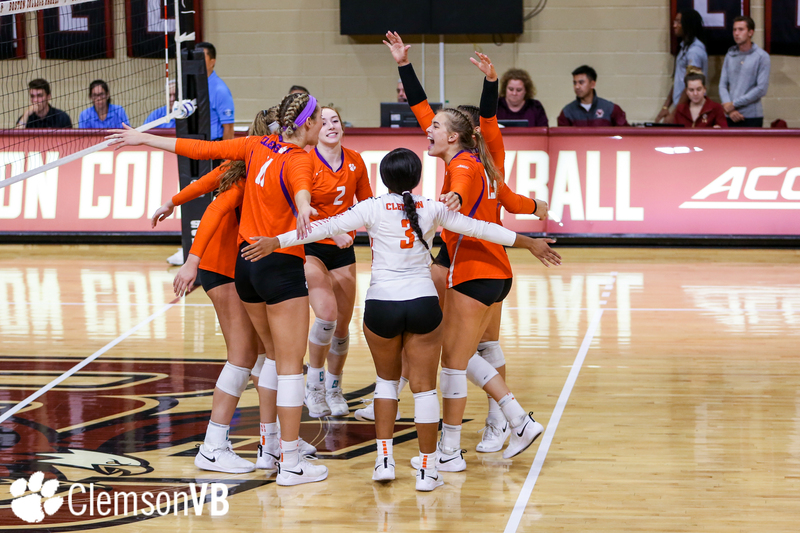 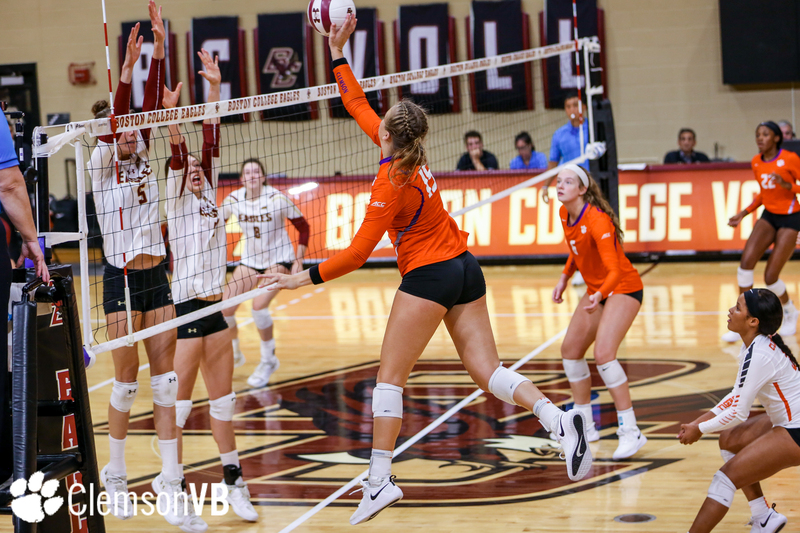 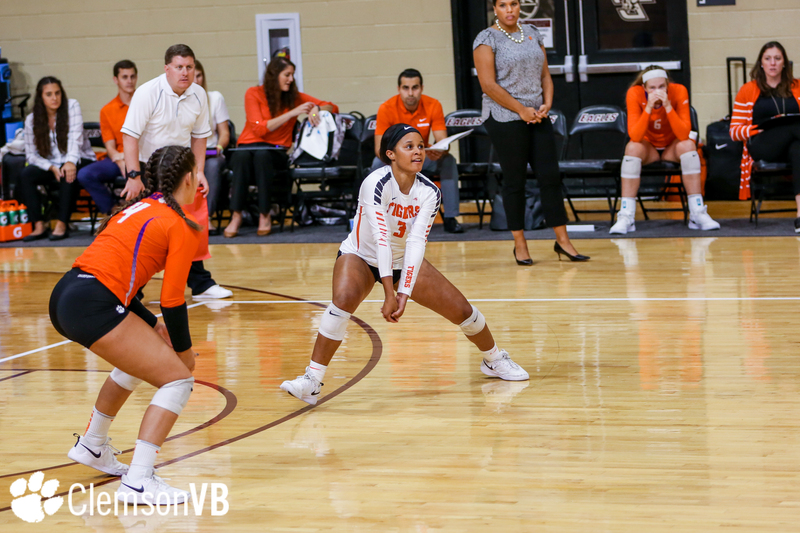 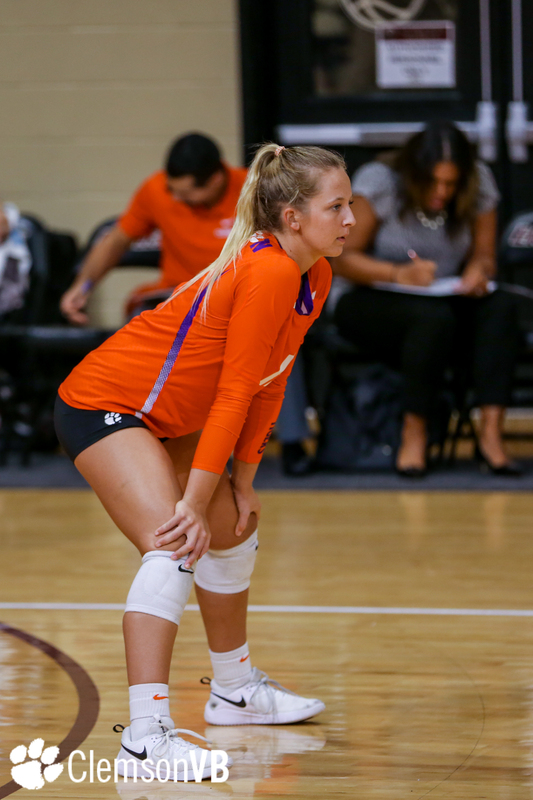 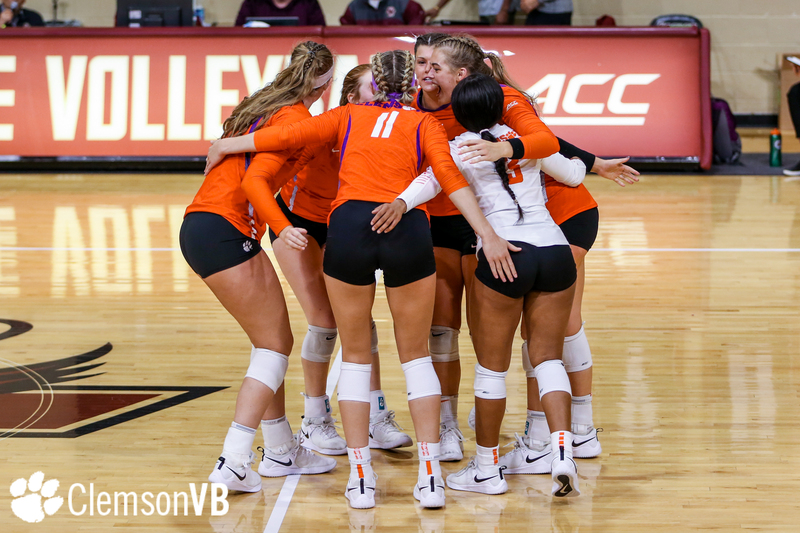 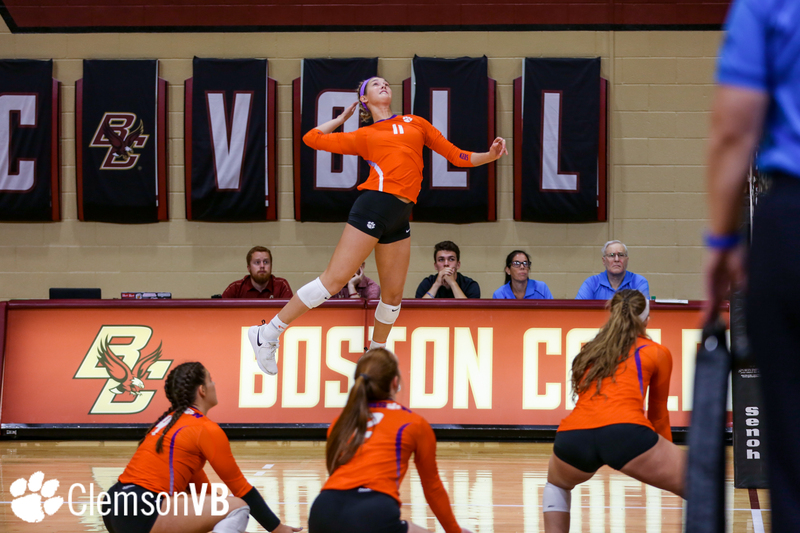 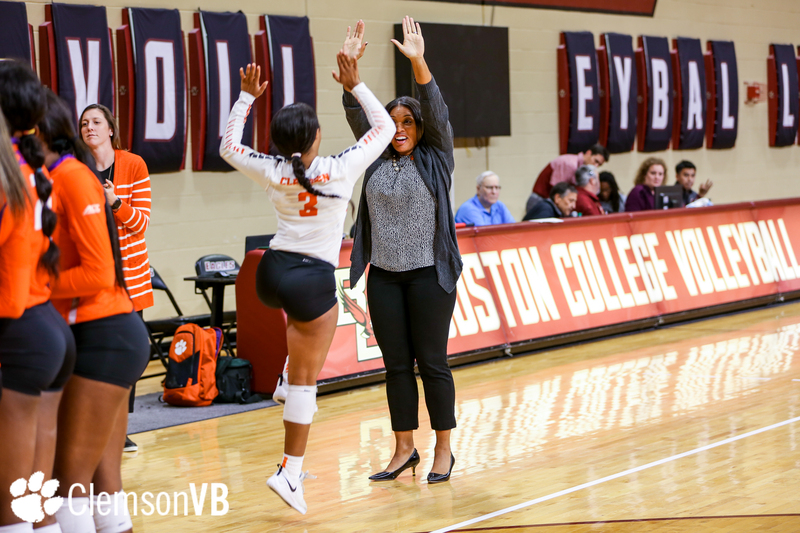 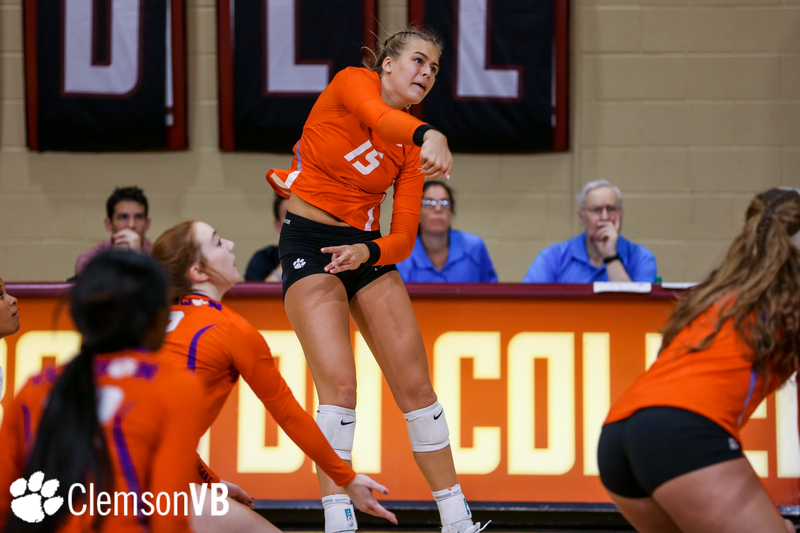 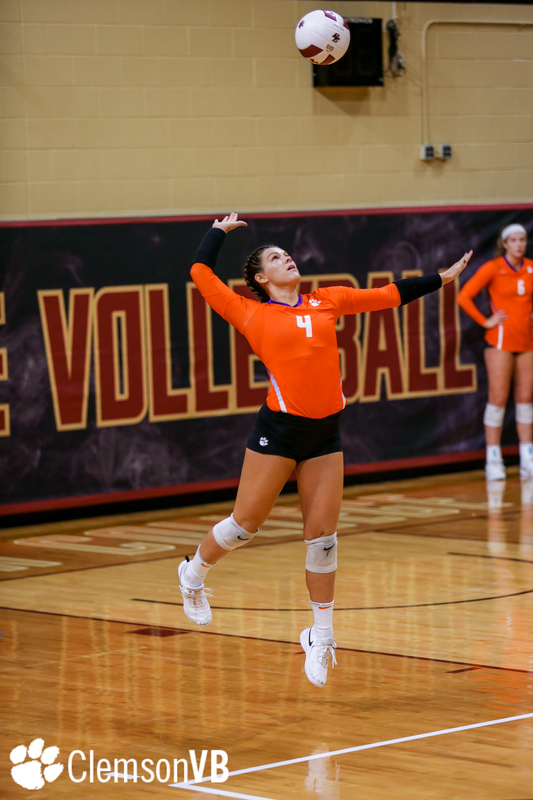 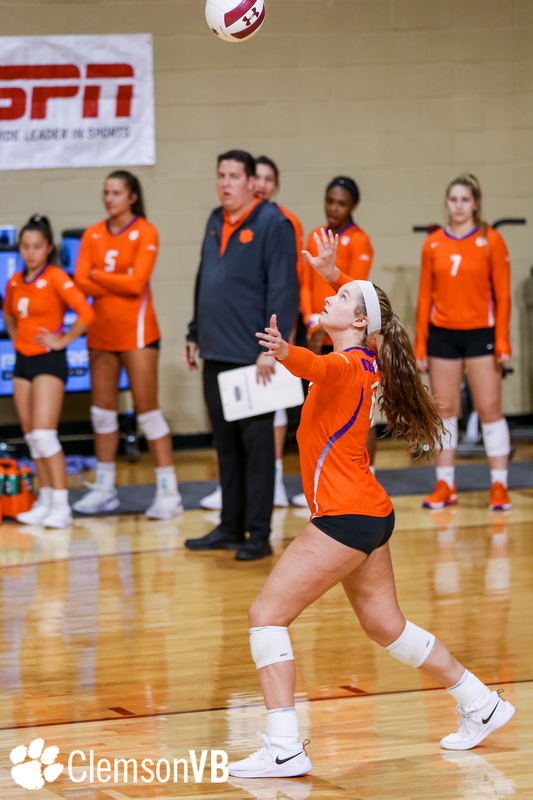 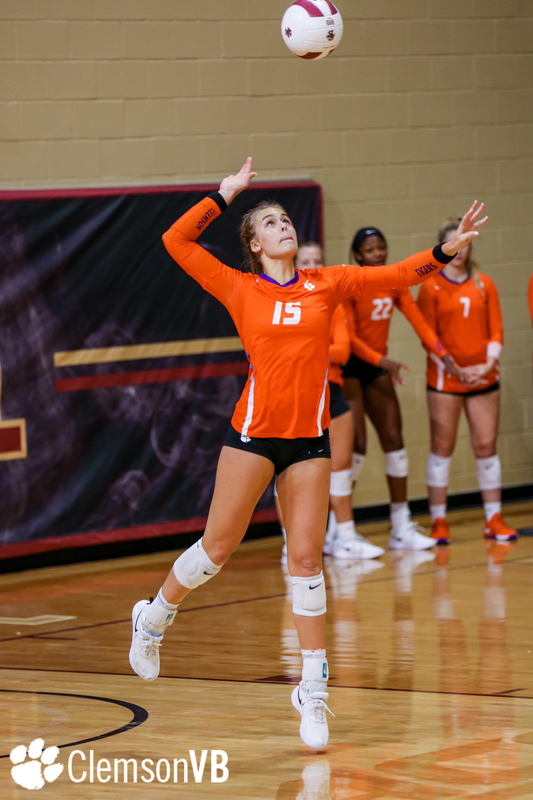 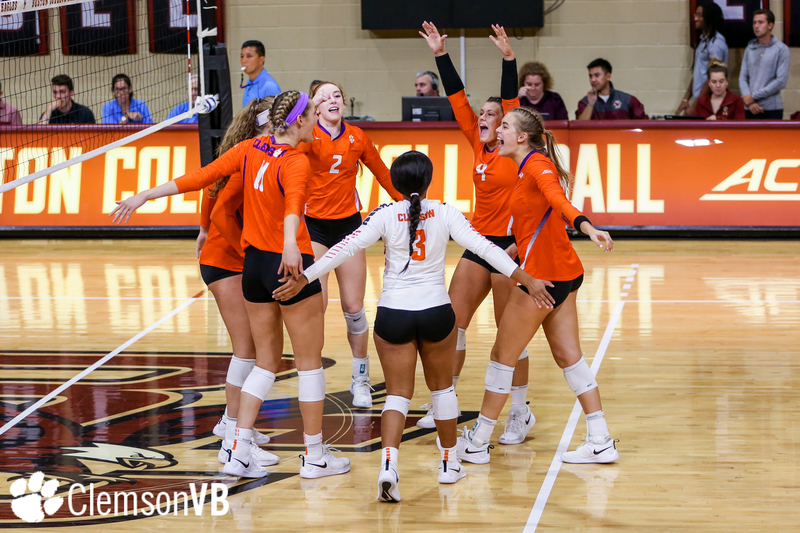 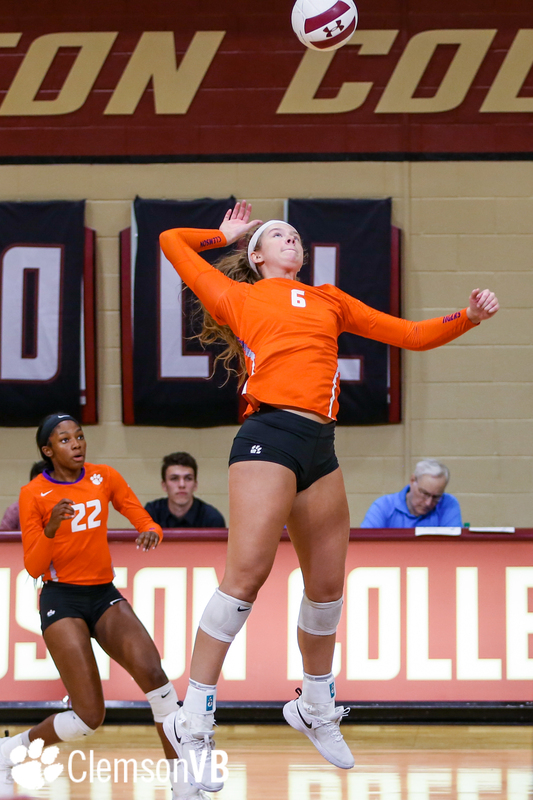 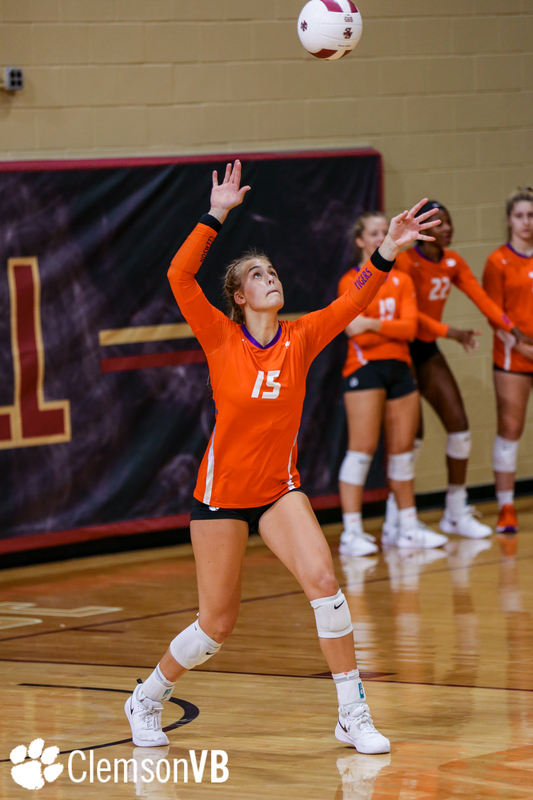 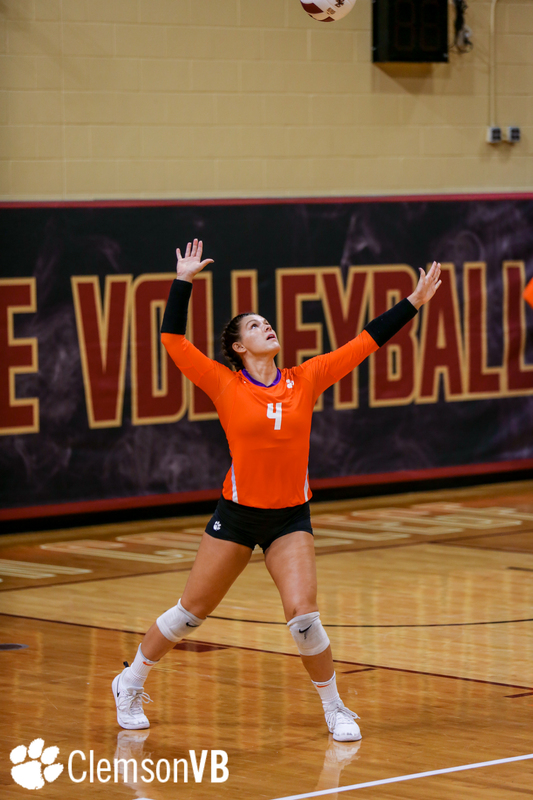 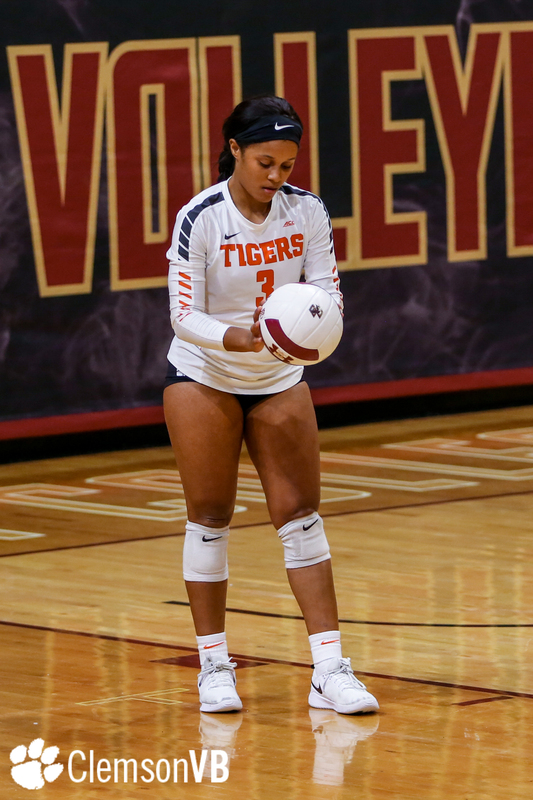 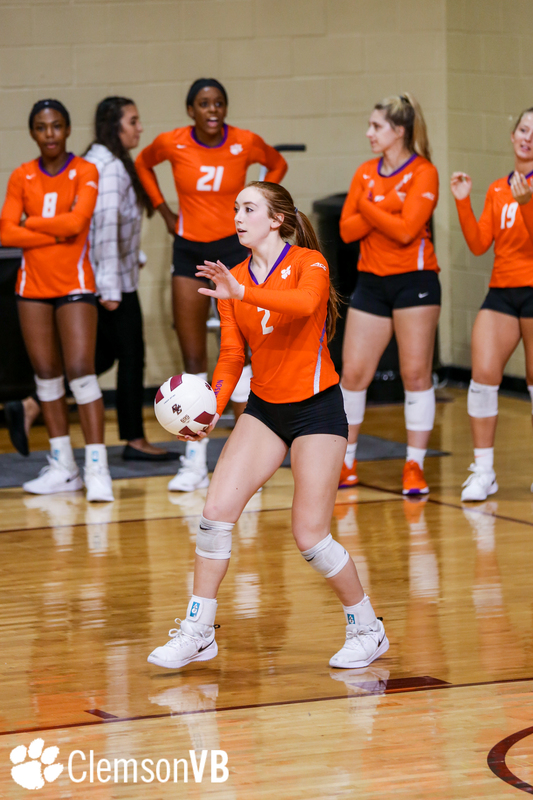 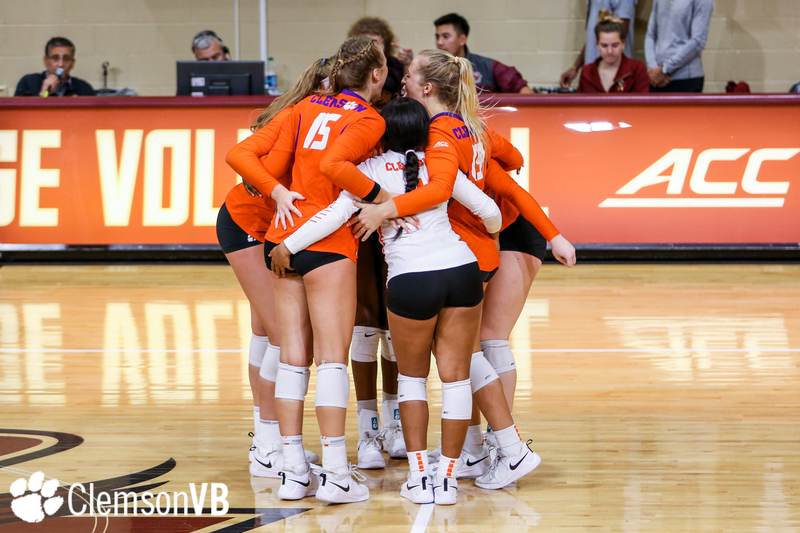 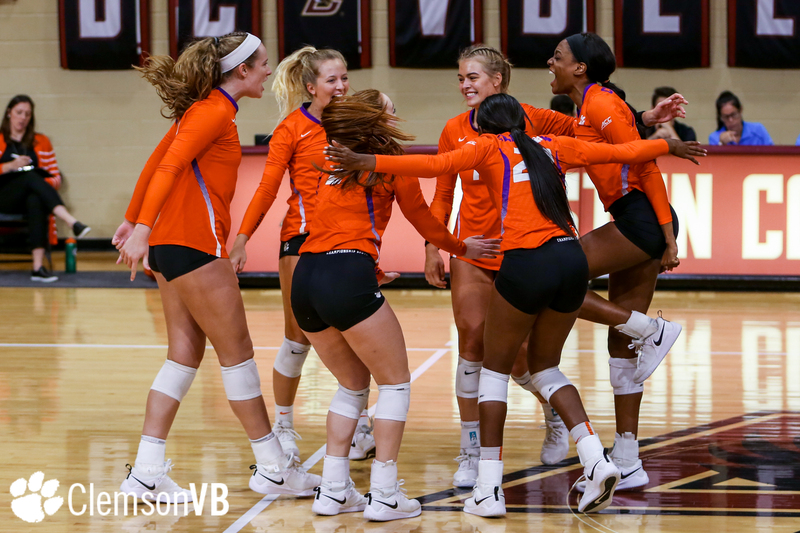 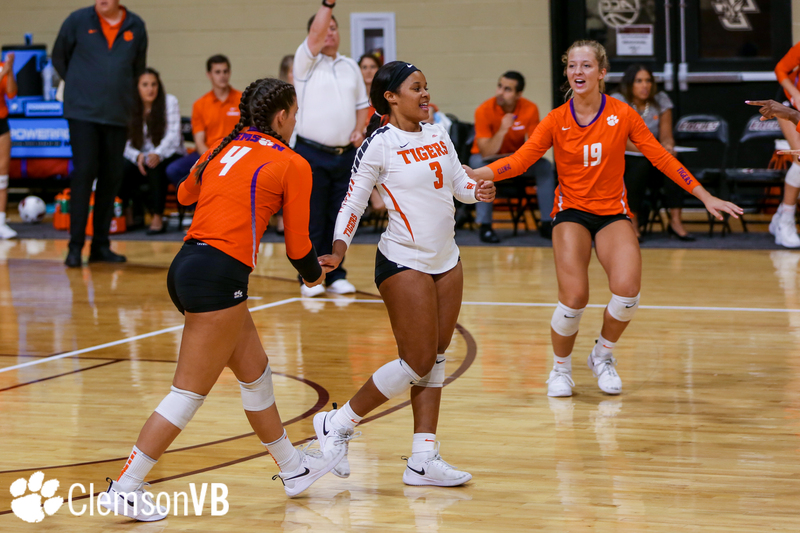 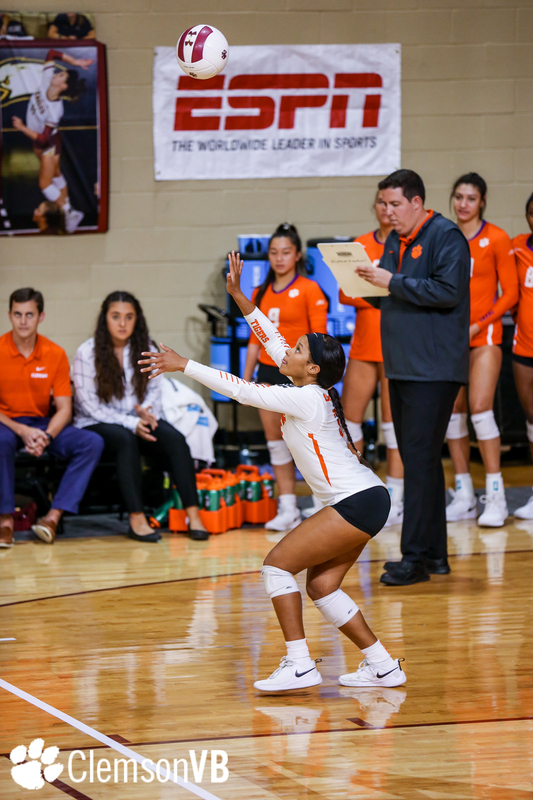 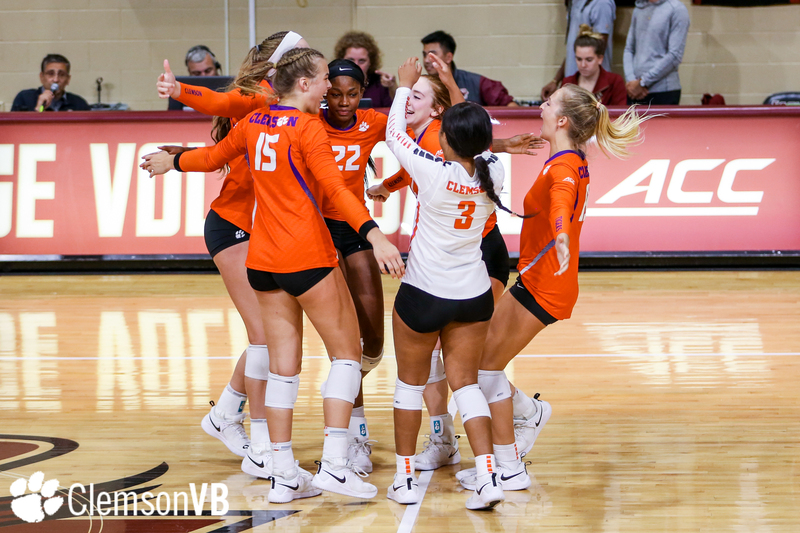 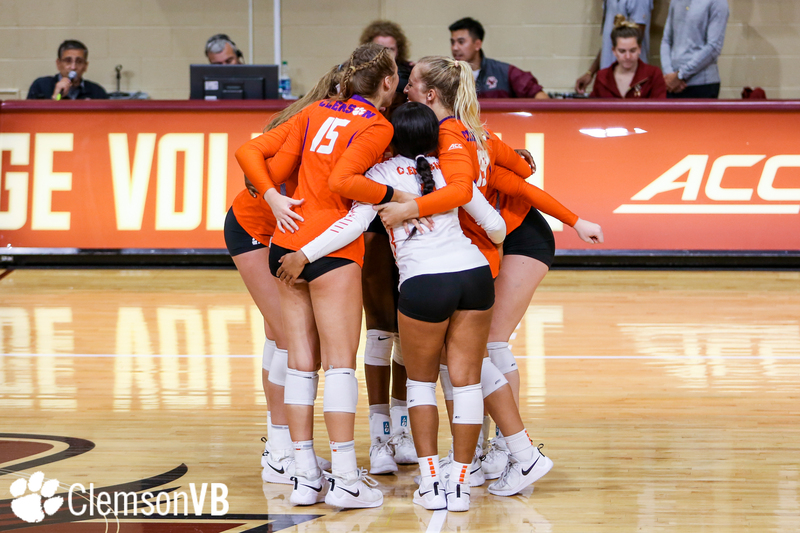 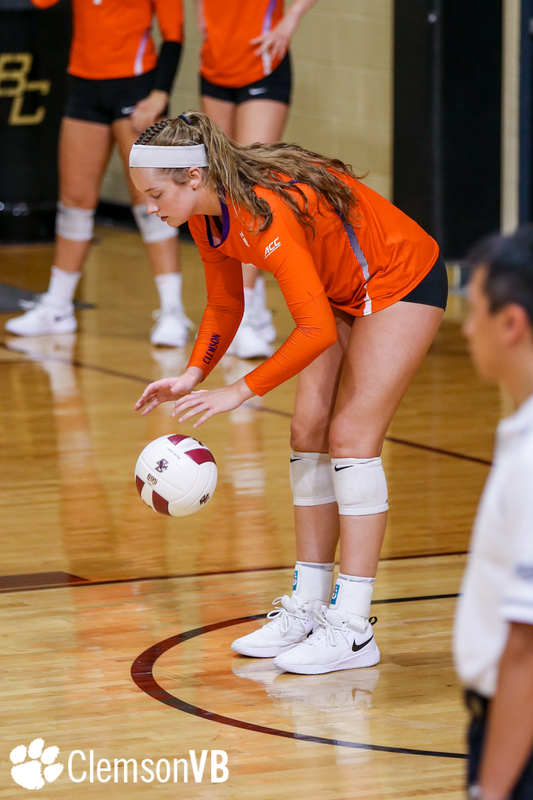 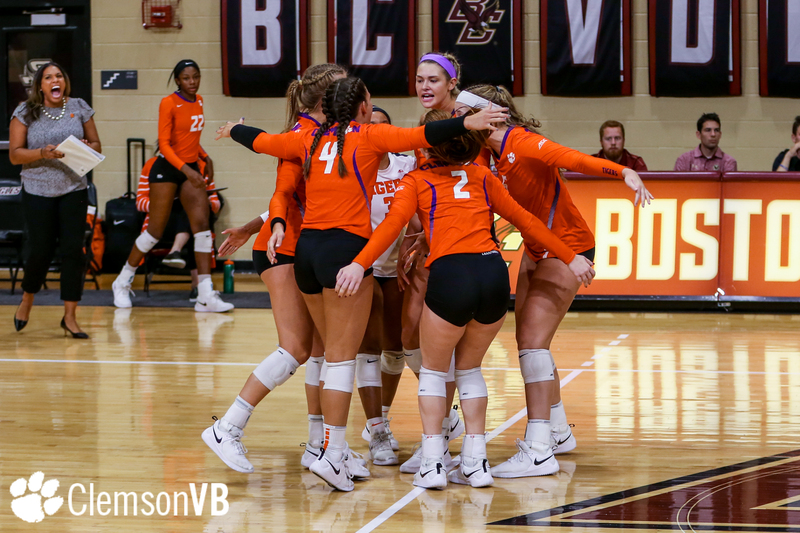 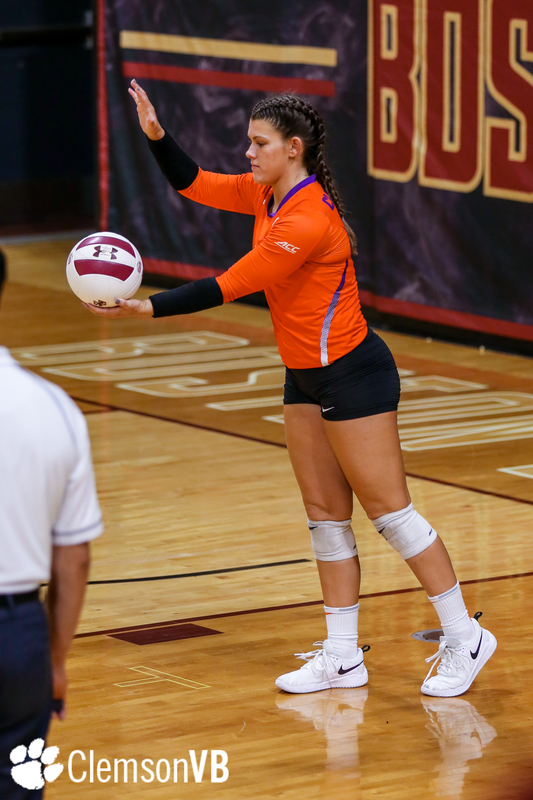 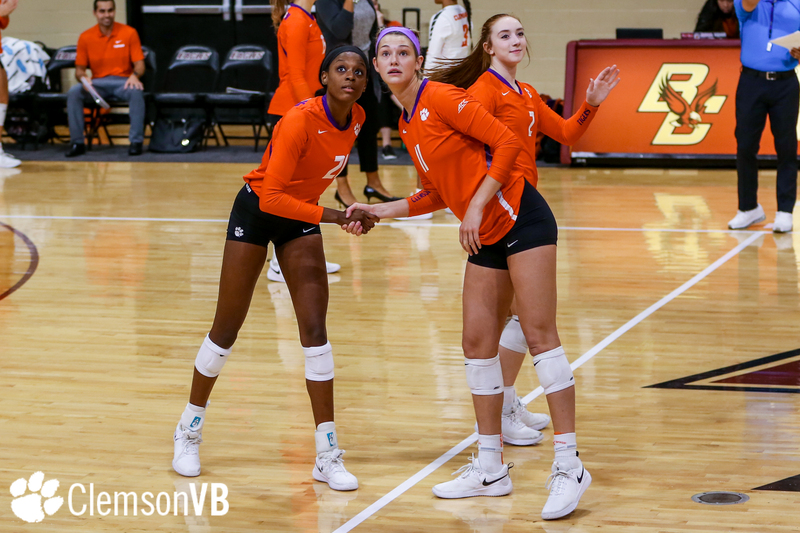 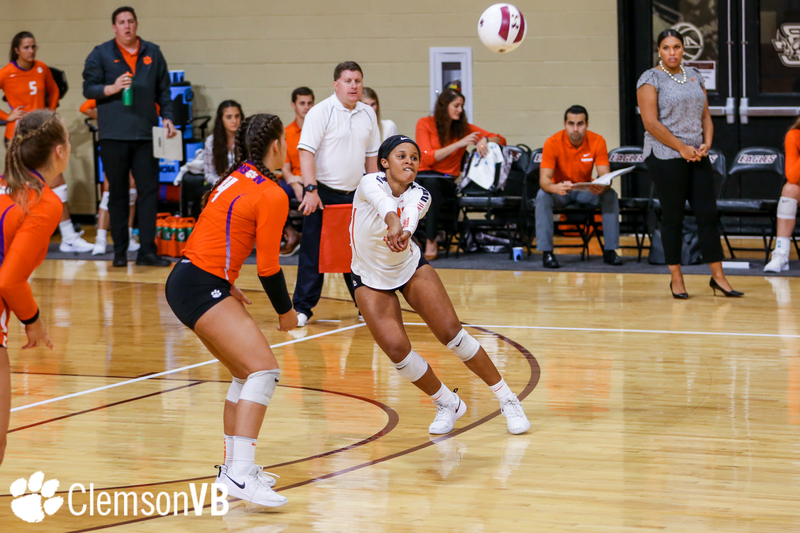 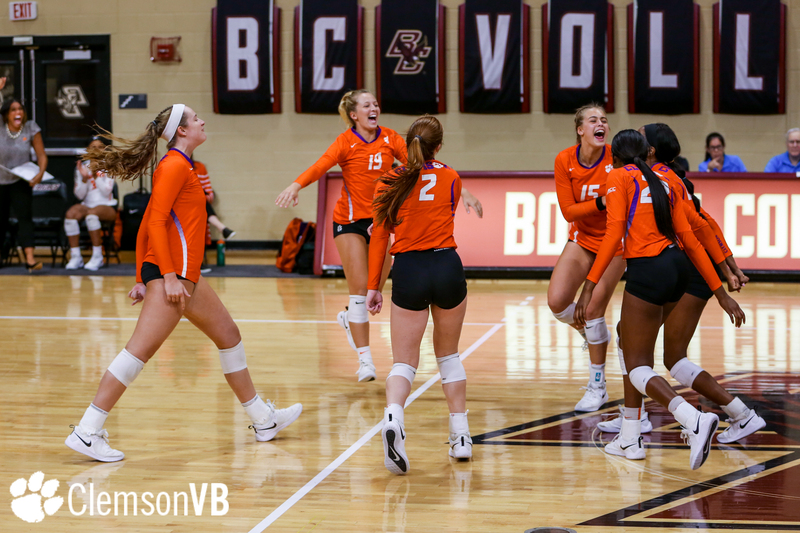 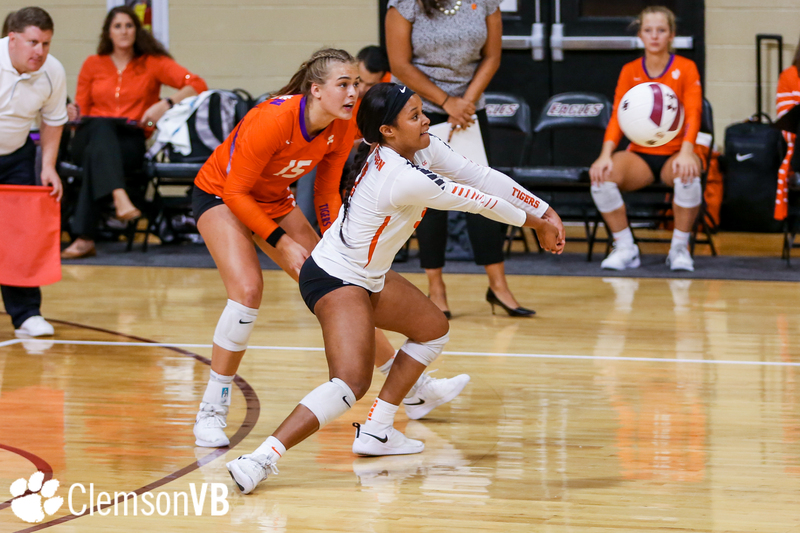 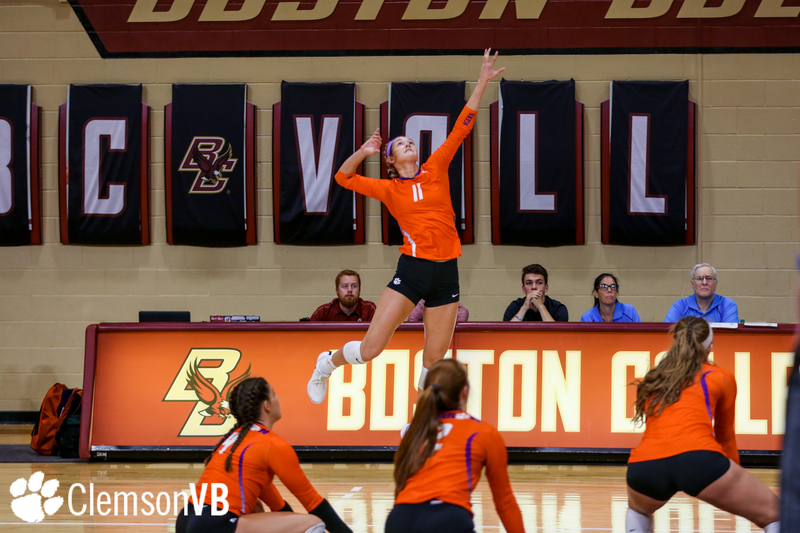 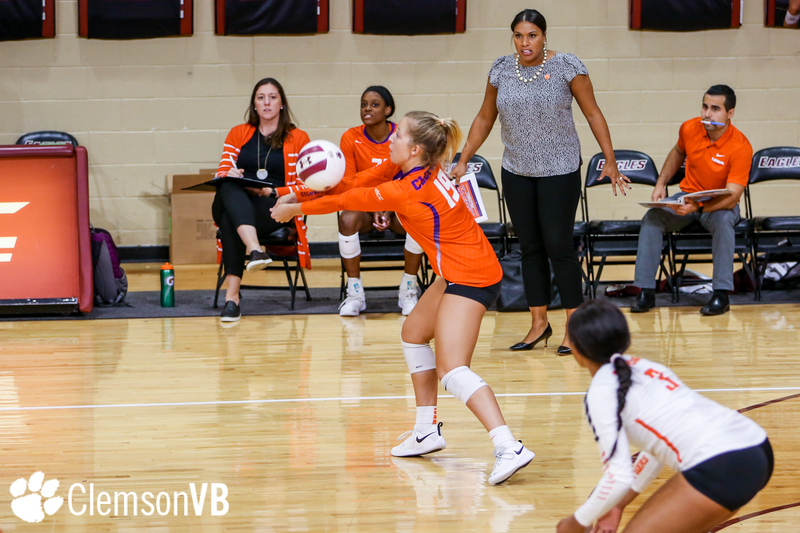 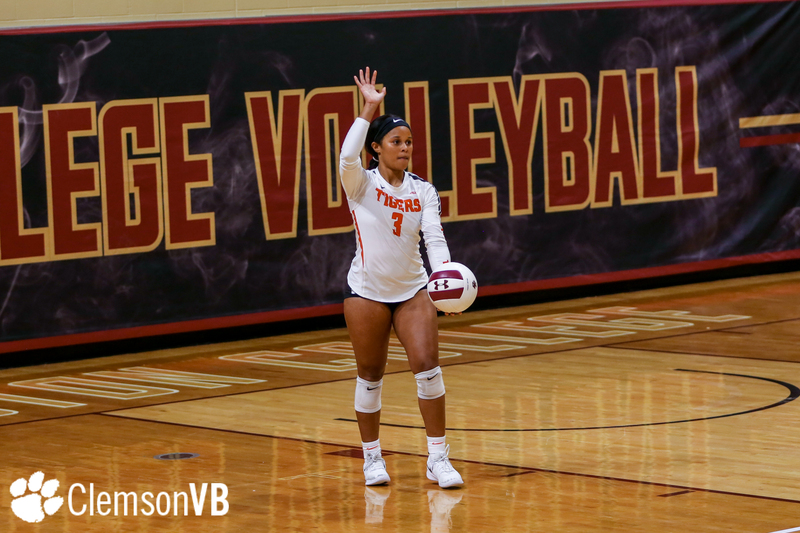 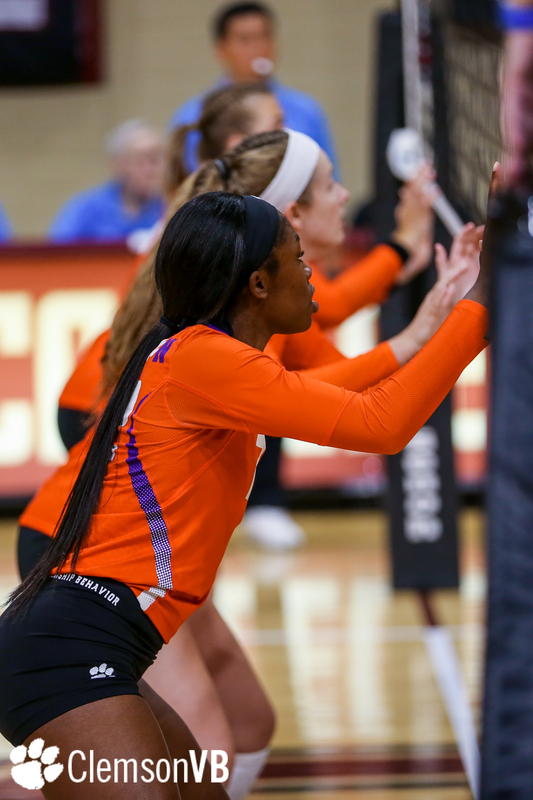 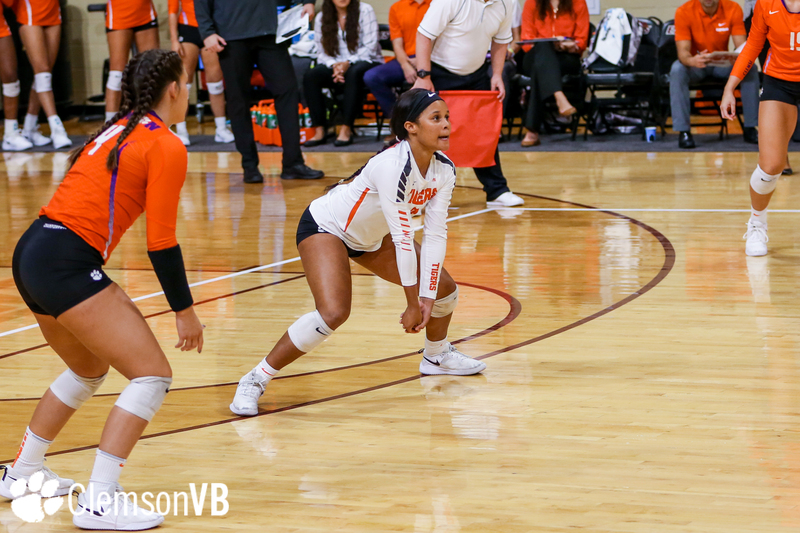 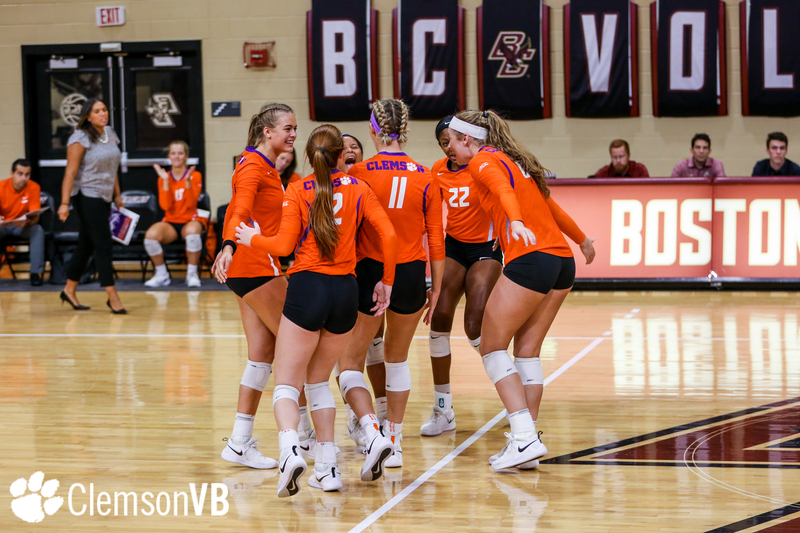 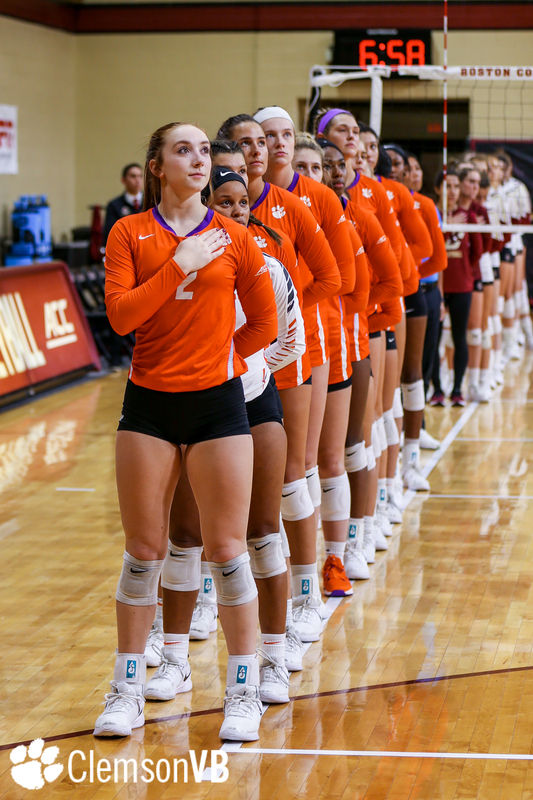 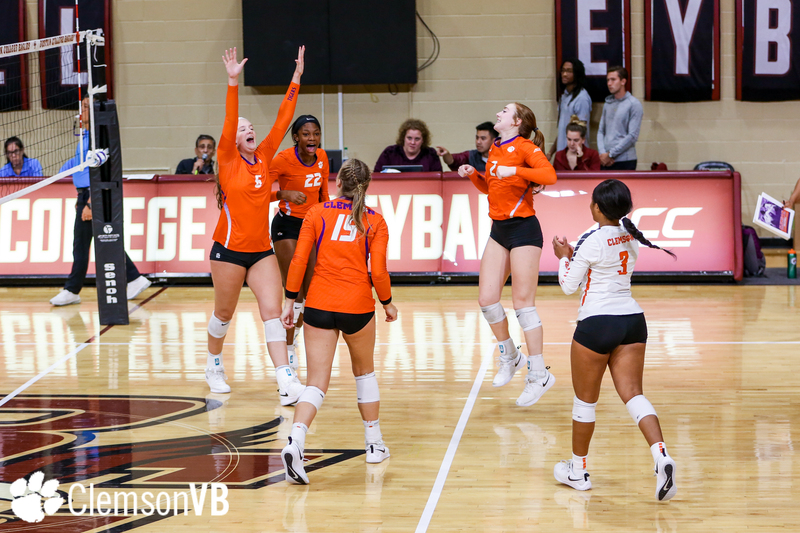 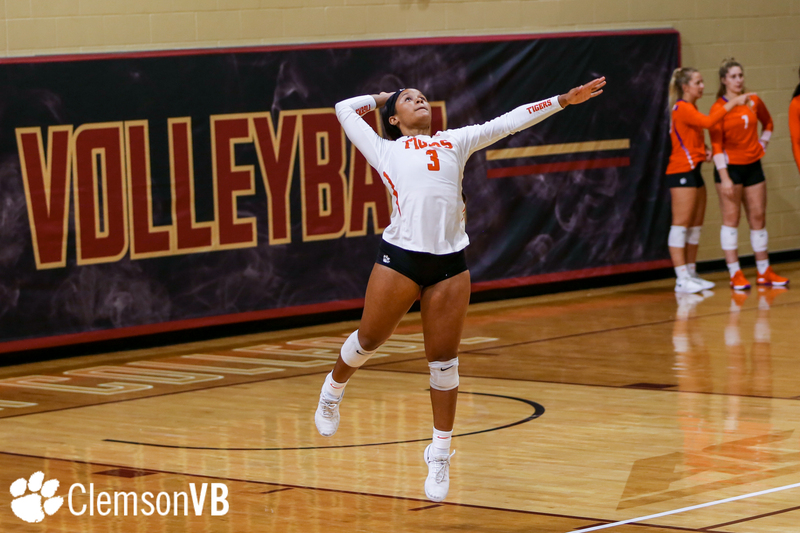 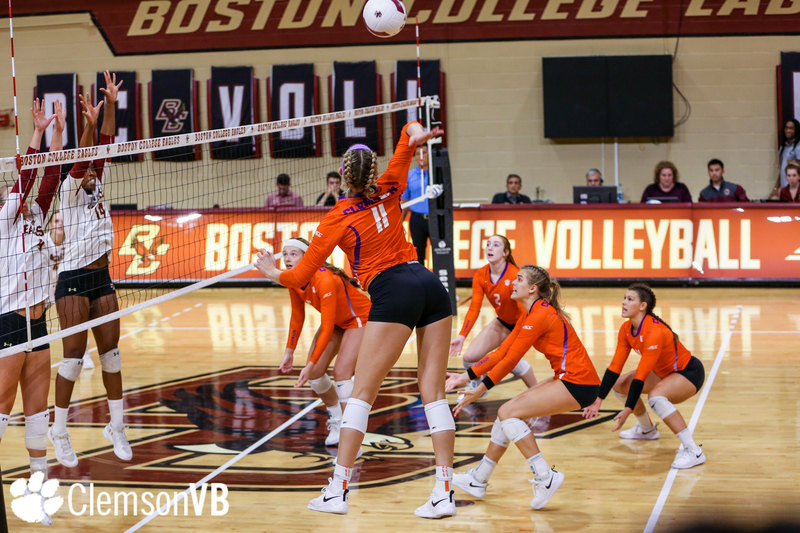 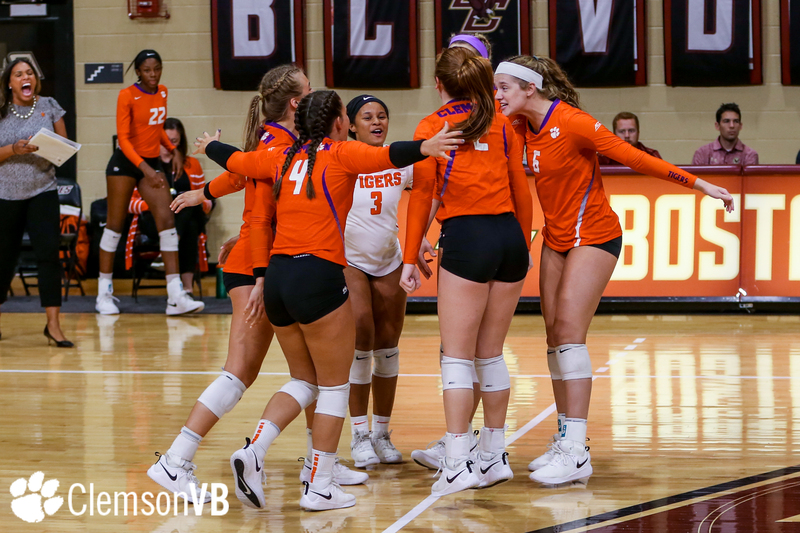 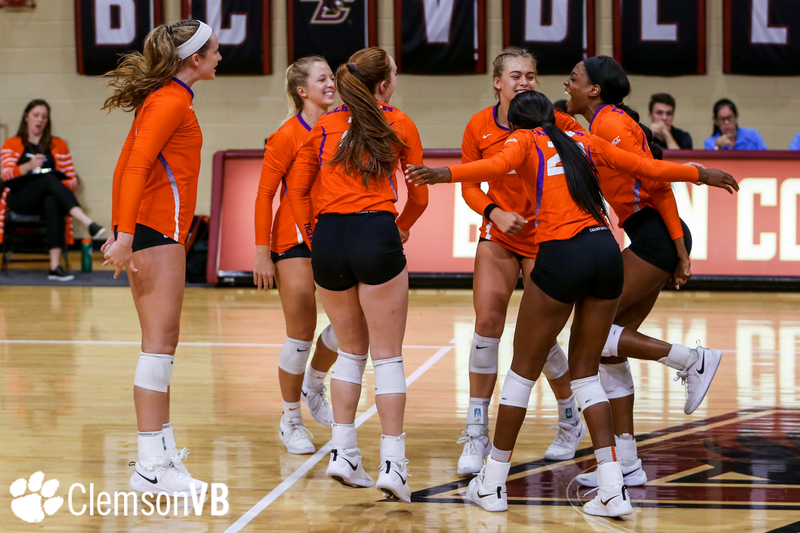 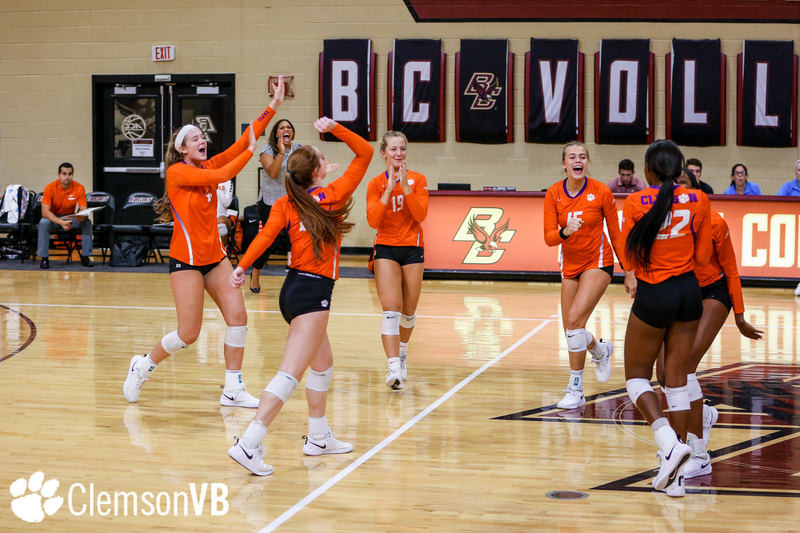 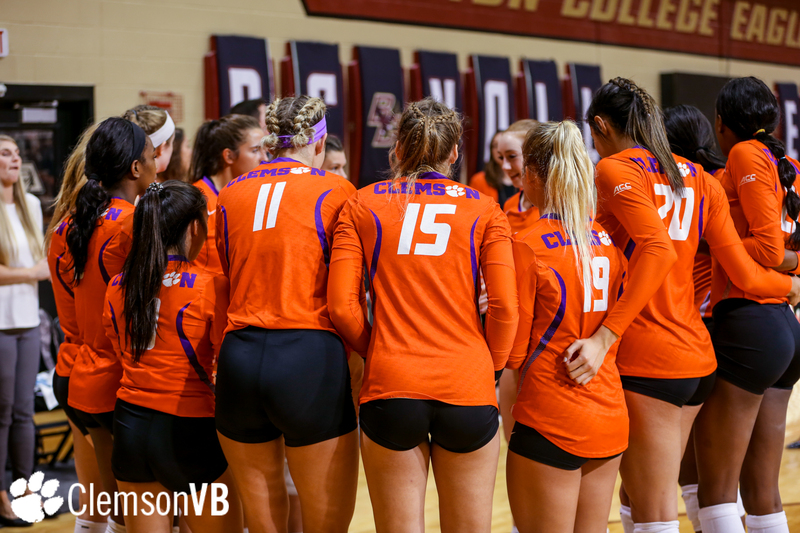 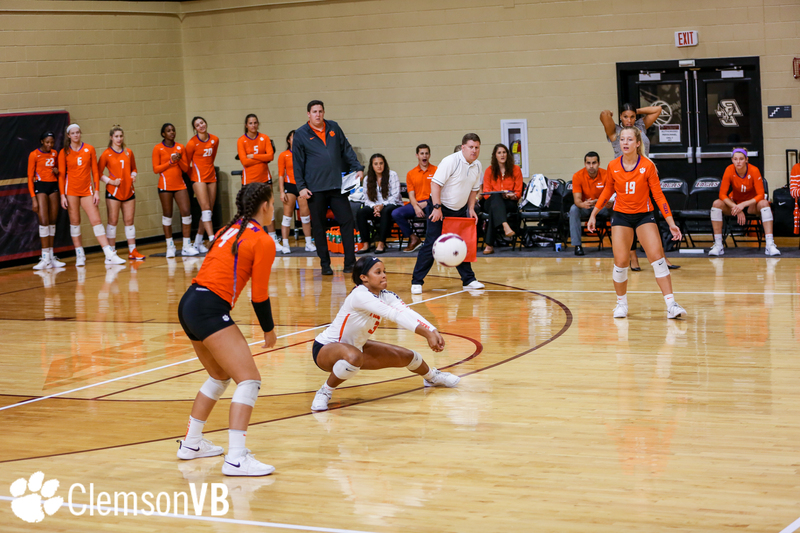 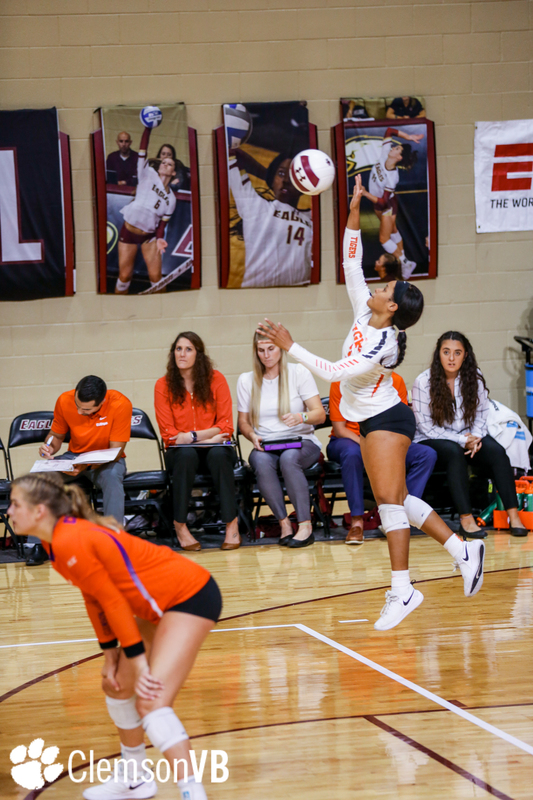 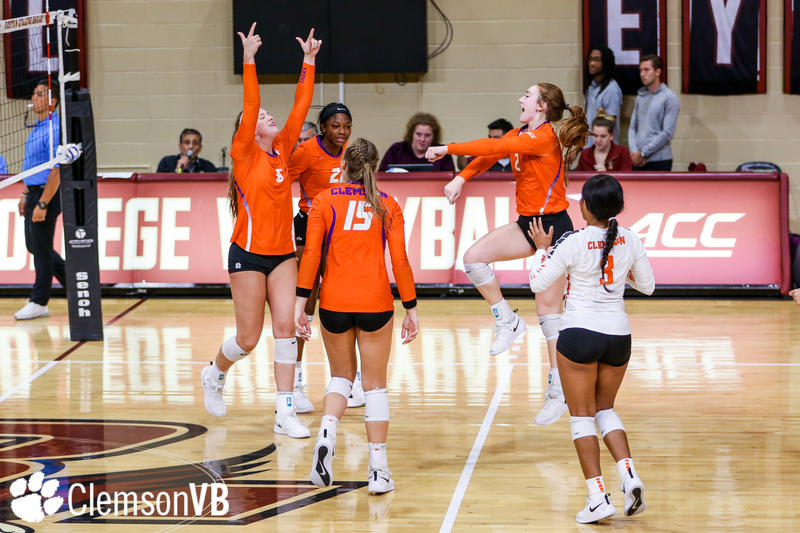 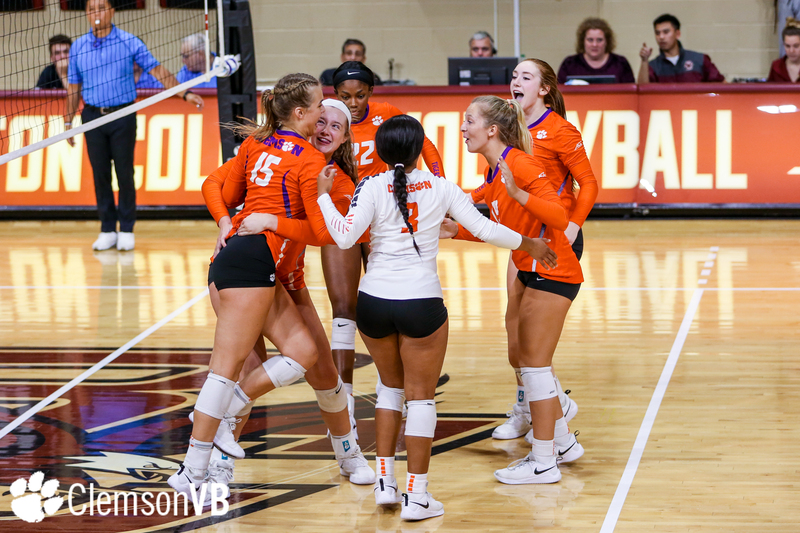 – The Clemson volleyball team fell in three sets (17-25, 17-25, 19-25) to Boston College Friday at the Eagles’ Power Gym. 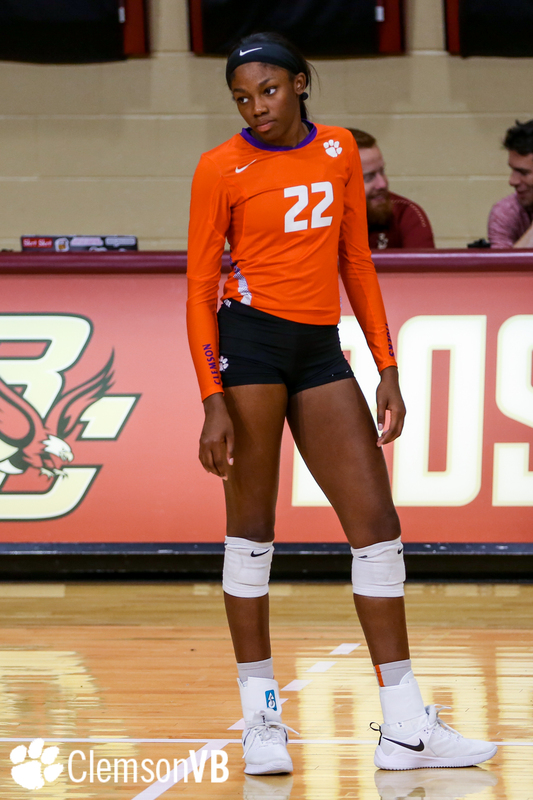 With the loss, Clemson slips 9-5 overall and 0-1 in ACC play, while BC improves to 11-2 and 1-0 in conference play. 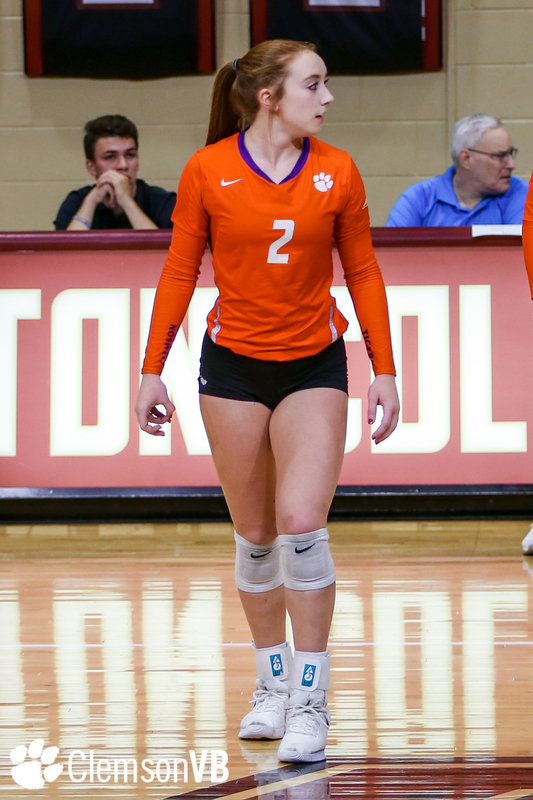 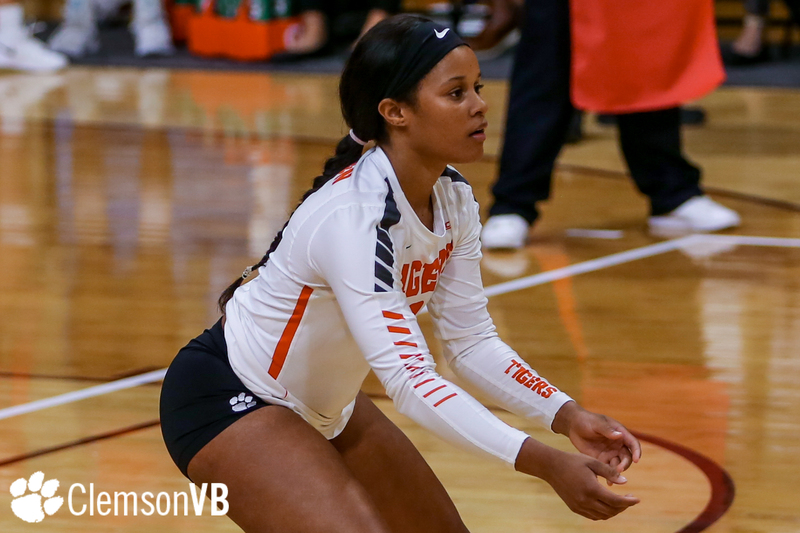 Redshirt sophomore Brooke Bailey led all Clemson hitters with 12 kills on 27 attempts to hit .222. 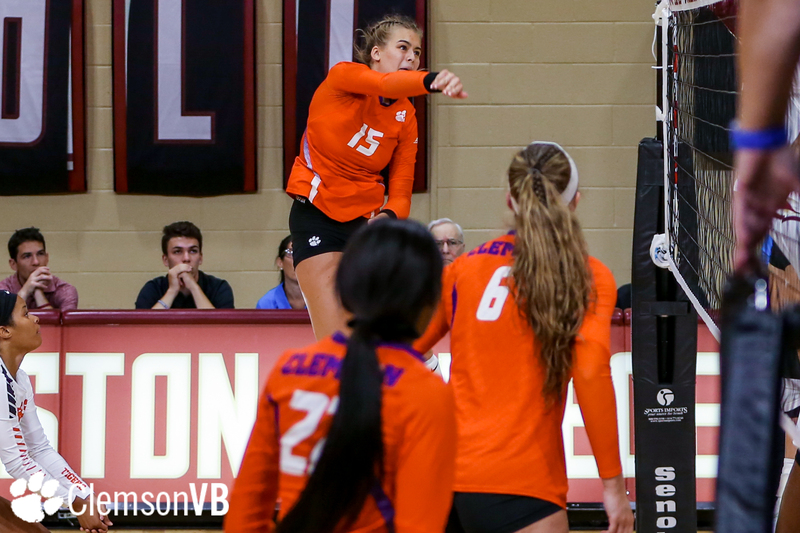 Clemson hung tight [9-9] midway through the first before the Eagles sparked a 16-8 run to close out the set in their favor. 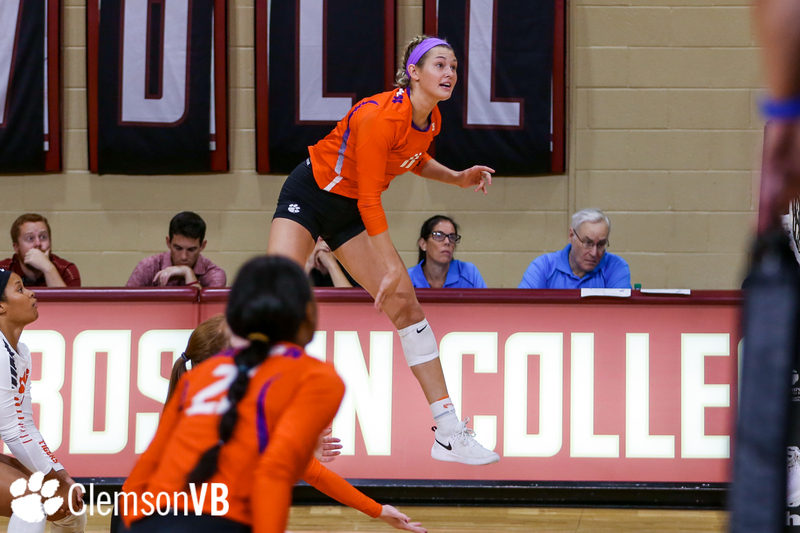 The Tigers seemed to turn the tide to open the second after jumping out to a 9-3 lead, but BC eventually tied the set, 11-11. 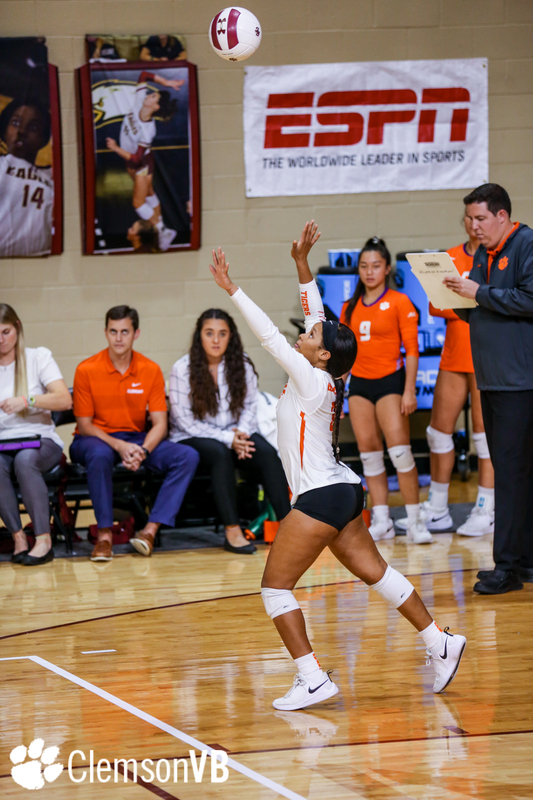 From there, the Eagles crafted a 14-6 run to once again take the game, 25-17, and a 2-0 lead. 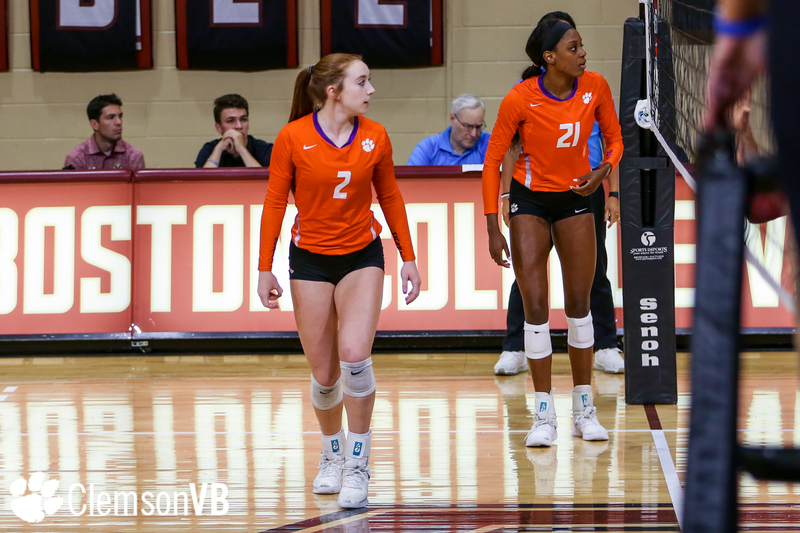 Coming out of the break, the Tigers never regained their footing as BC never surrendered the lead in the third and final set. 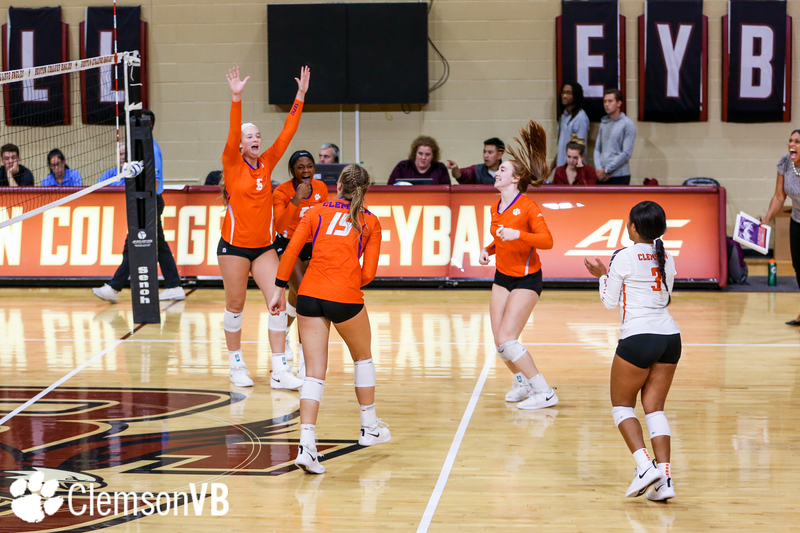 The Eagles went on to take the set [25-19] and match. 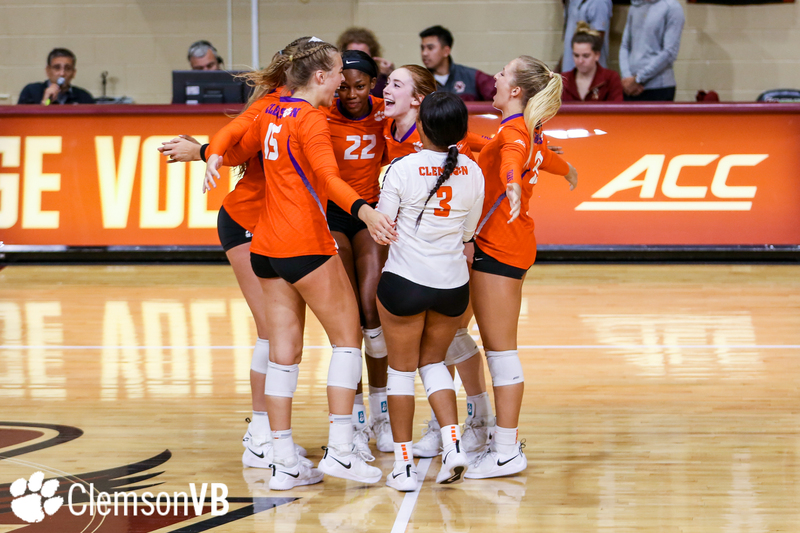 Up next, the Tigers head to Syracuse, New York to challenge the Orange on Sunday at 1 p.m. Sunday’s matchup at Syracuse is set to stream on ACC Network Extra.